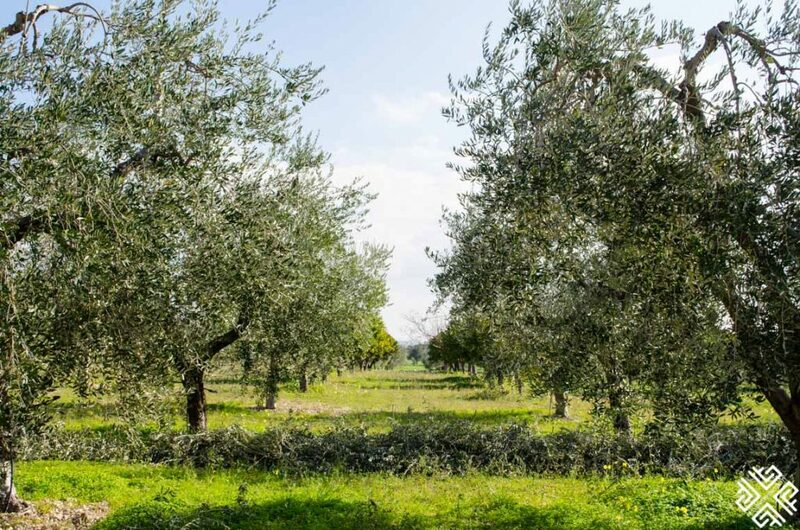 Home to a wealth of cultural, culinary and ecological wonders — Puglia is guaranteed to gift you with an extraordinary travel experience. 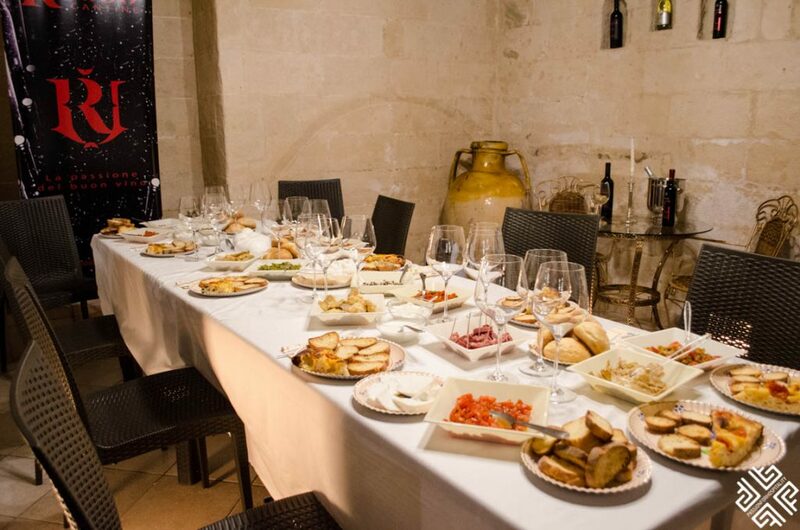 To help you better plan your trip here is what to see and do in Puglia in 4 days. 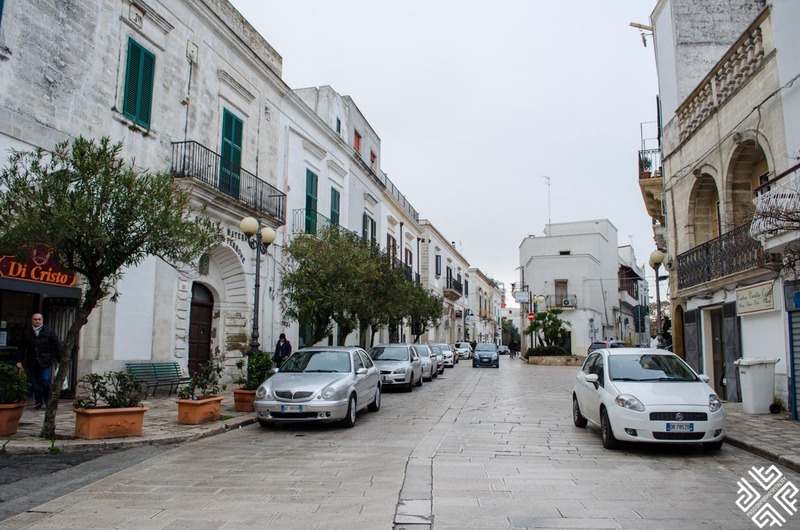 The quaint town of Ginosa located between Taranto and Matera, is approximately a little over one hour drive from Bari. 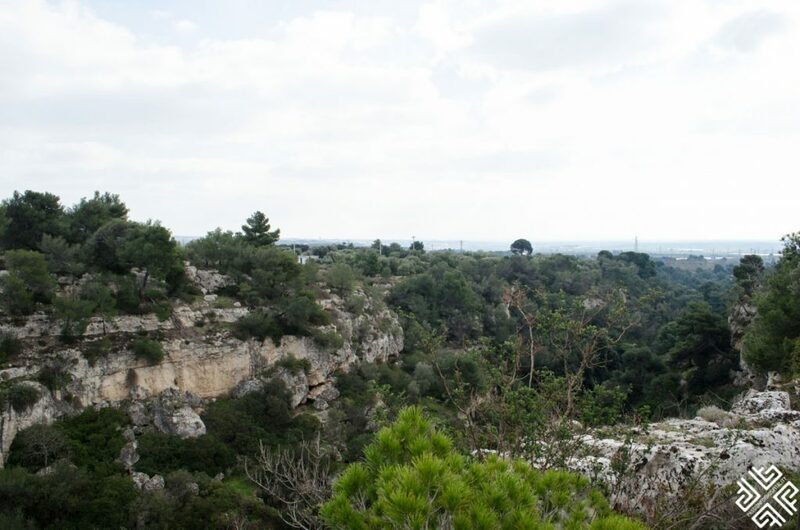 Known for its unique horseshoe-shaped small canyon (gravine) which was formed as a result of meteoric waters which carved the rugged landscape over the millennia — Ginosa has a fascinating history which dates back to several centuries before. 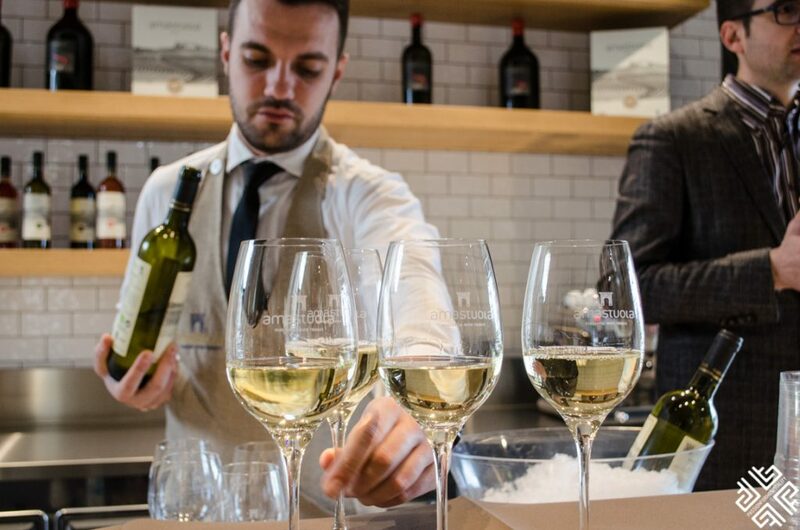 Noon: Arrival to Ginosa and wine tasting at Alibi Drink & Food located across from the Piazza Orologio. 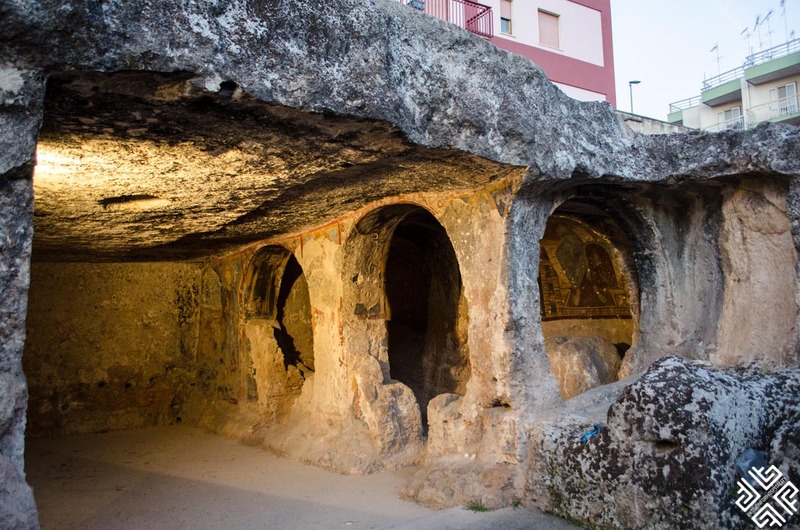 One of the most imposing sites in the historic center of Ginosa are the cave houses which sprawl across the sides of the ravine in the area of Rione di Rivolta. 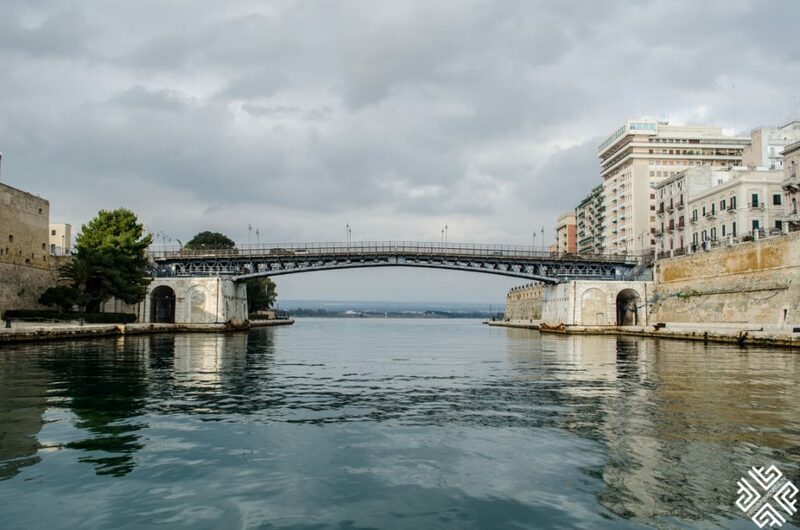 Inhabited until the 1950s these settlements were once built using distinct techniques and urban planning. 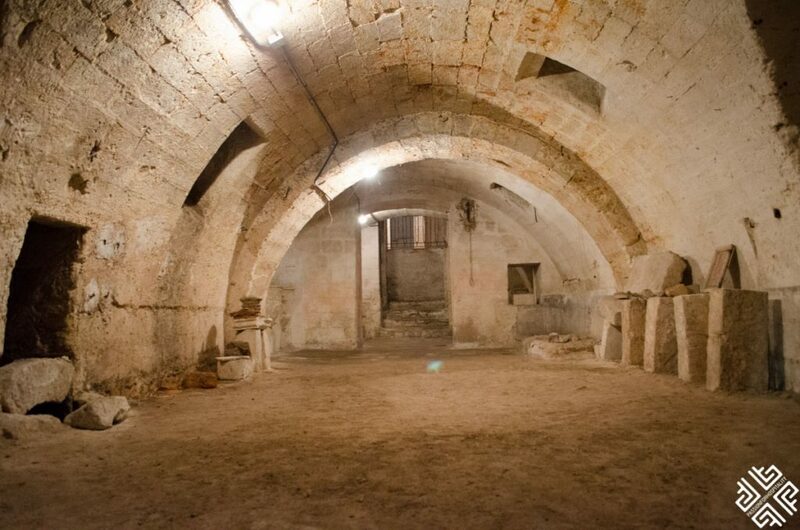 The houses were carved inside the limestone and the doors were always facing the south in order to allow for the sun to heat the rooms during the winter months. 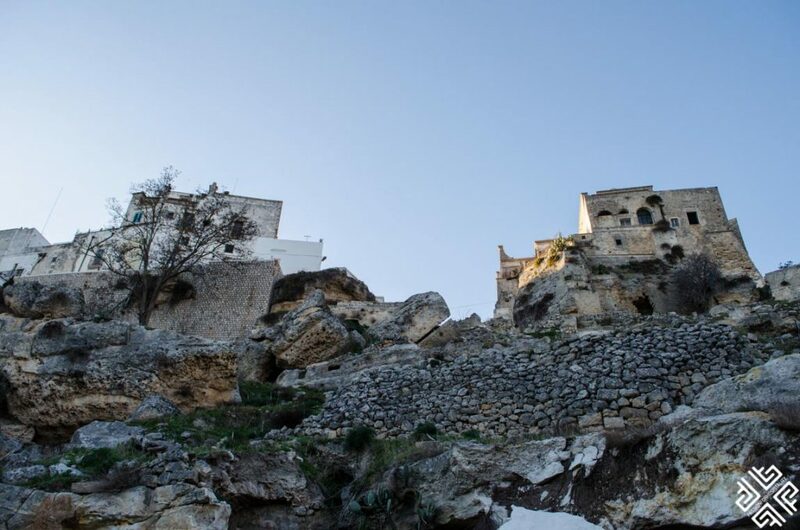 The casa grotta or the cave houses are spread out across five floors and there are a total of 66 caves — what make up the Troglodyte Village. 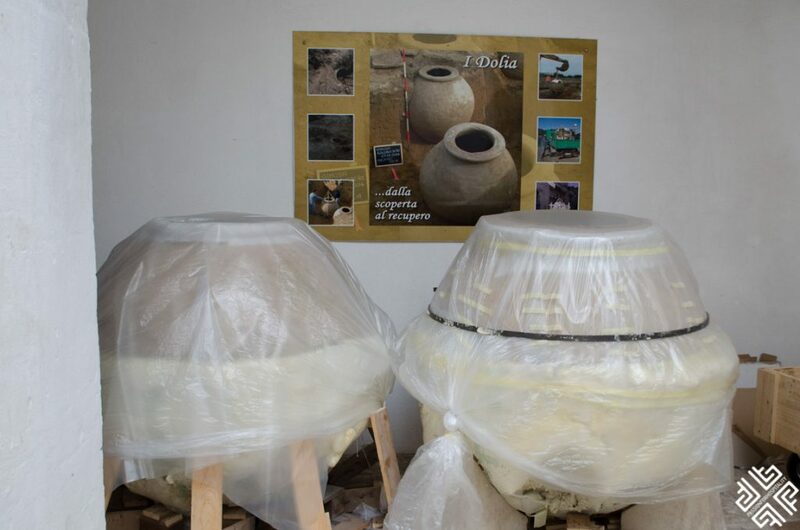 Another unique feature of the cave dwellings is a system that allowed to collect rainwater through big and small canals which was then channeled to the caves and used for purposed of cooking, animals and agriculture. 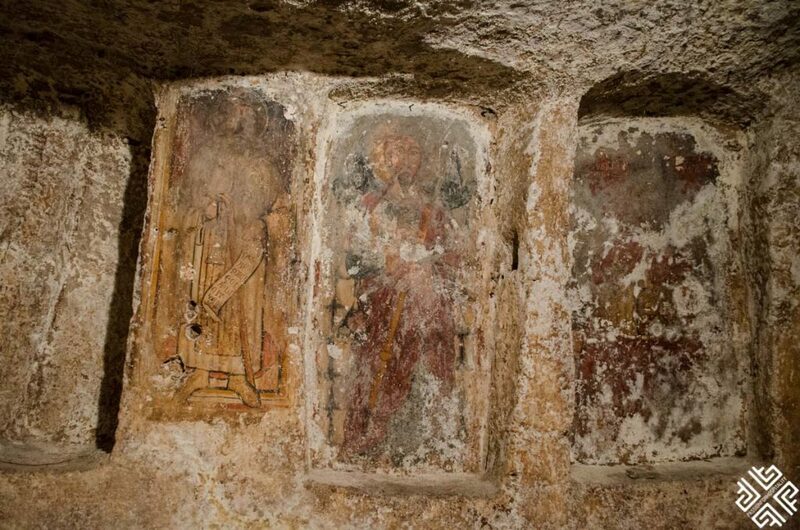 Other than the cave houses, the inhabitants also carved churches inside the rock. 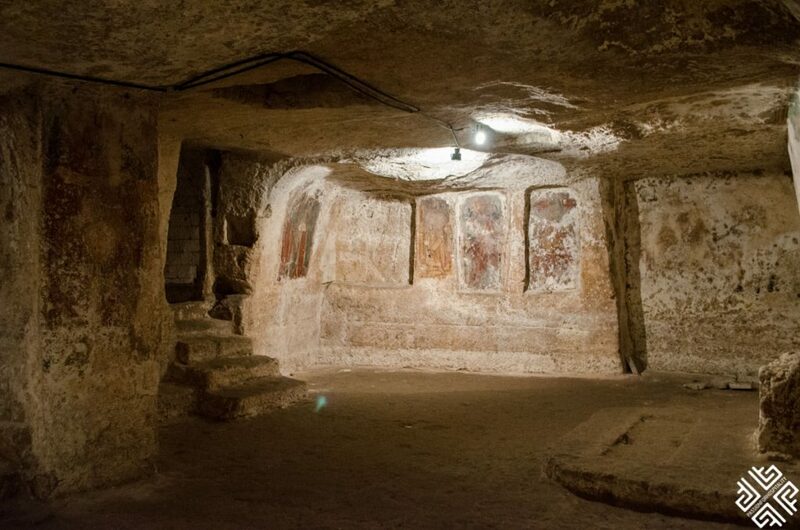 The three famous rupestrian churches are Santa Barbara, Santa Lucia and Santa Sofia II most of which were destroyed by the heavy flooding in 2013. Today only Santa Sofia can be reached. 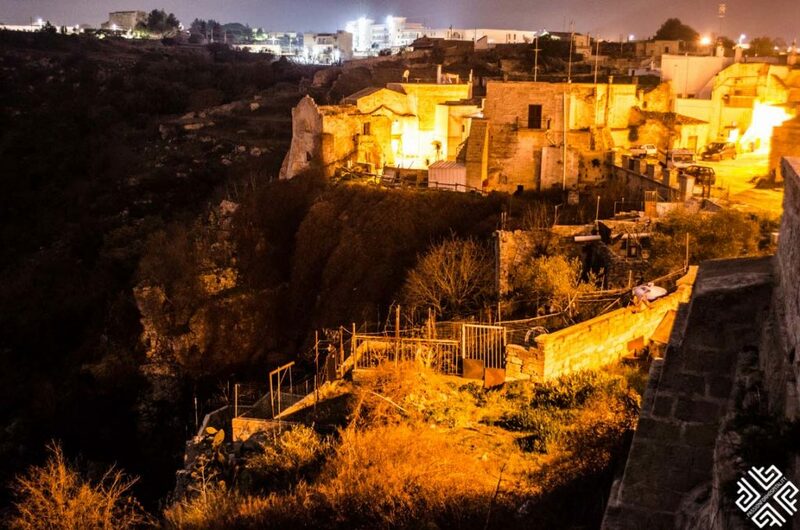 A notable landmark of Ginosa is the Norman Castle which dominates the most strategic point of the historical center overlooking the ravine. 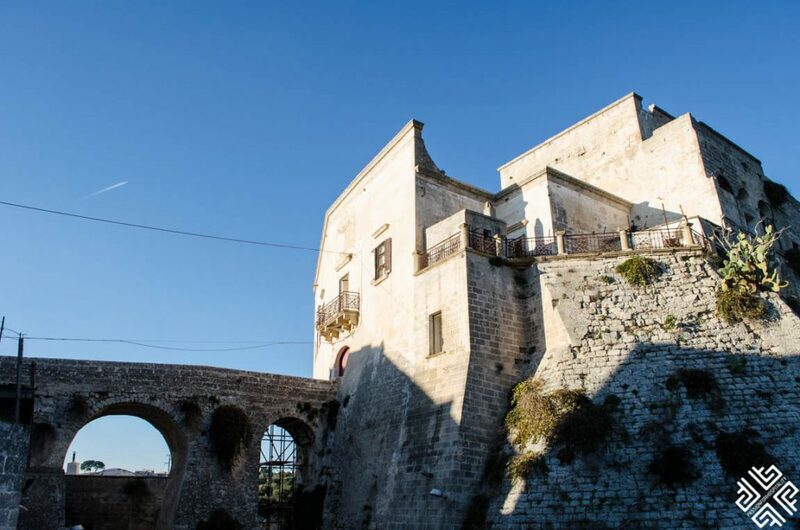 The castle was built in 1080 to protect the town from the Saracen raids. 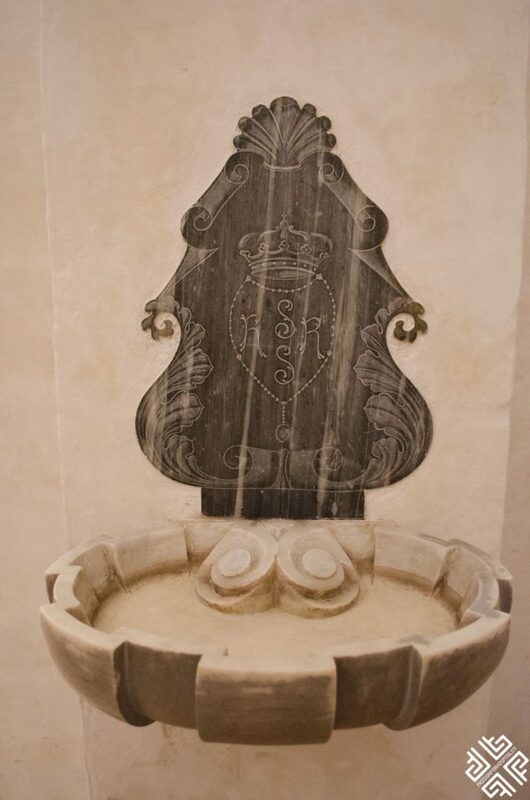 In the 16th century the distinct features of the castle were altered once the Doria family came to power. 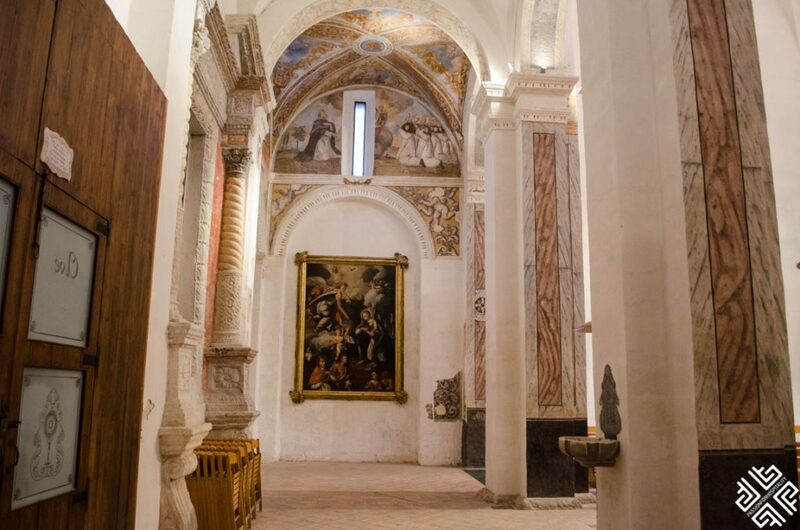 Towards the end of the ravine you will come across an impressive 16th century church which honours Madonna del Rosario. 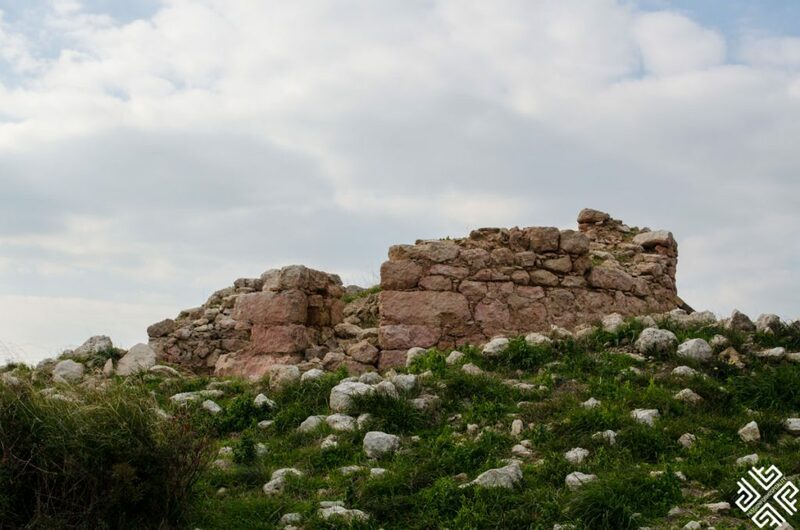 The initial construction of the church began in the end of the 15h century and it was built on the site of an already existing smaller church built in 1000AD. 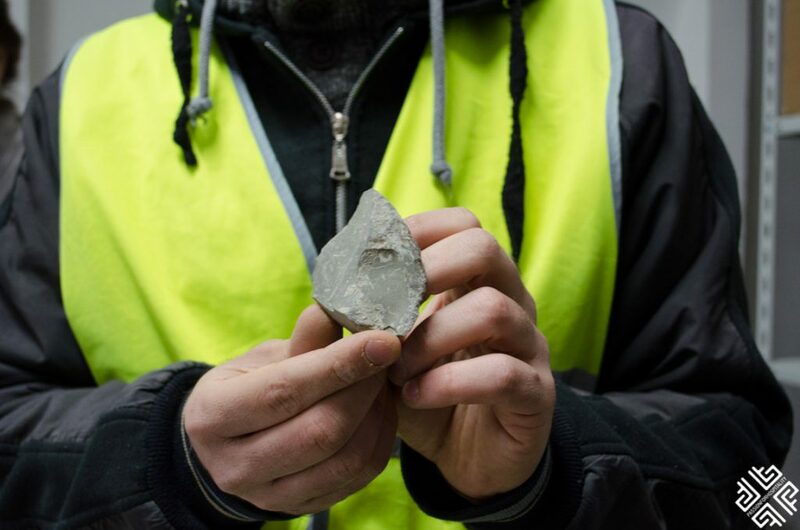 When the modern church was being built a grave of a priest was found in the middle of the church — today you can see a hole covered with glass that leads to an ancient cemetery. 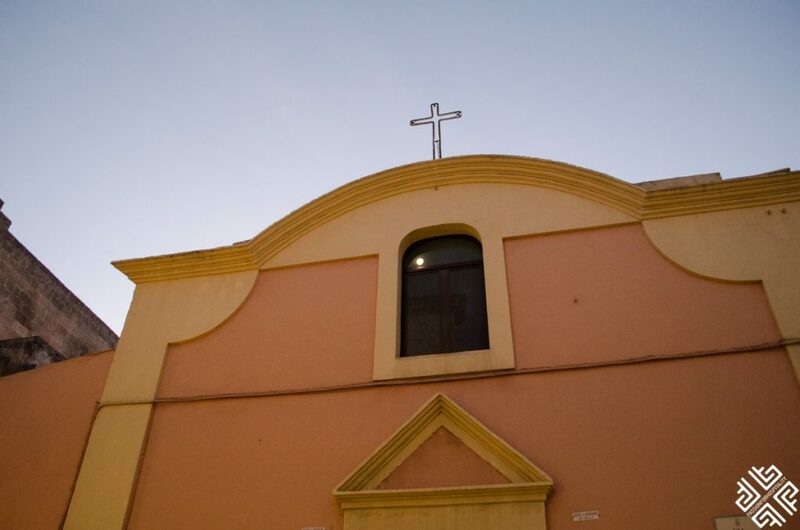 During that time there were series of conflicts happening in Italy and in order to make peace with the French the noble families and the people of Ginosa decided to dedicate the church to a French Saint, Martin of Tours. 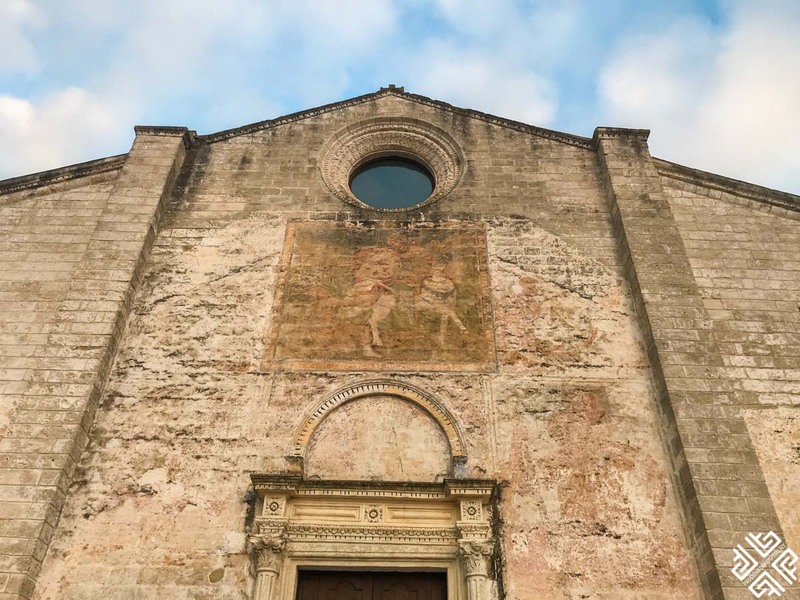 On the facade of the church there is a beautiful faded painting representing the legend of St. Martin’s cloak where Marin is portrayed on a horseback, cutting his cape in two with his sword. 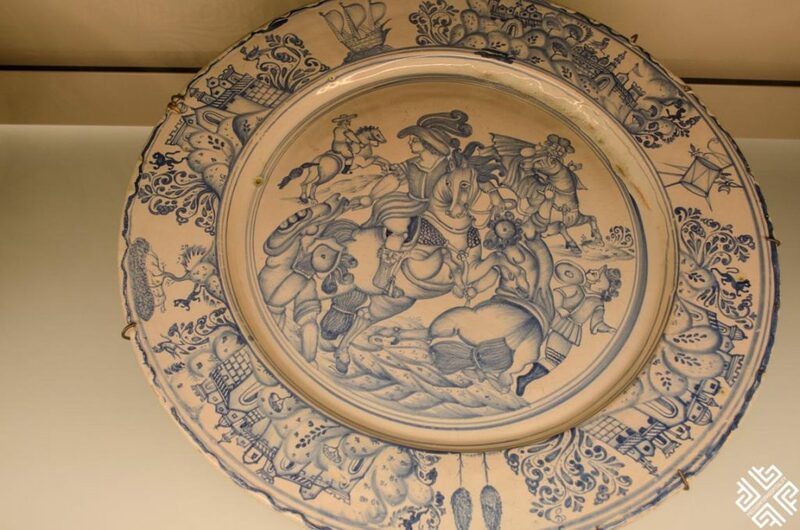 The one part of the cape is for the beggar standing besides the horse. 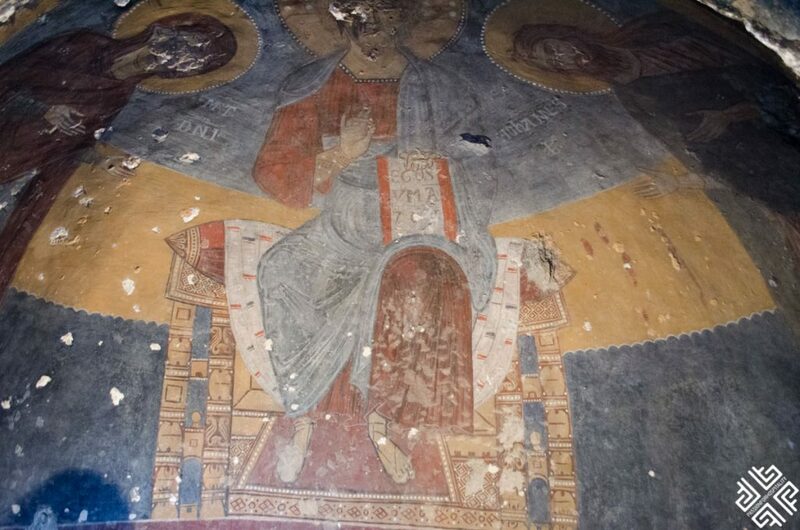 On the other side there is a painting of St. Michael with the dragon under his feet. 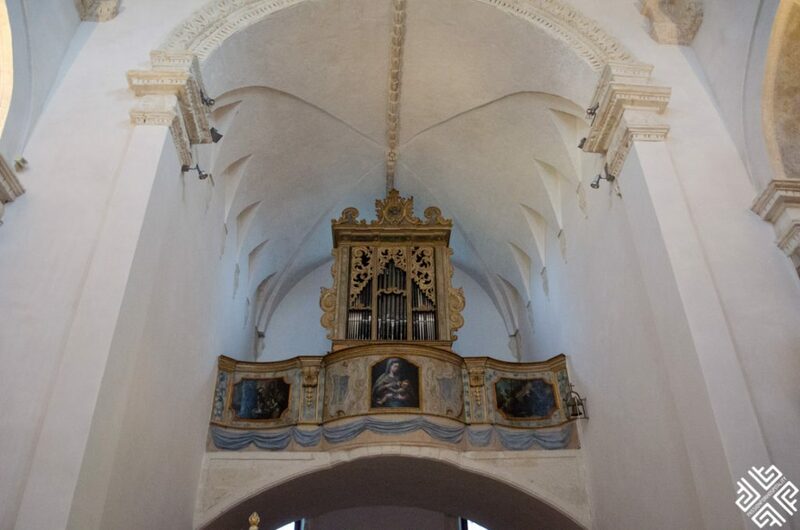 In the 17th century a number of Baroque elements were added to the church and the columns were covered with marble. 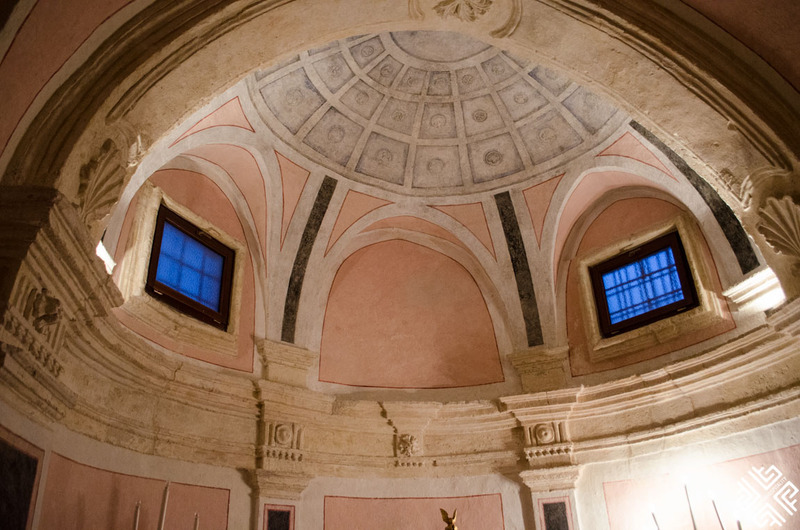 The ceiling of Chiesa Madre was once painted as a sky full of starts, today it is white with an inscription of the painter. 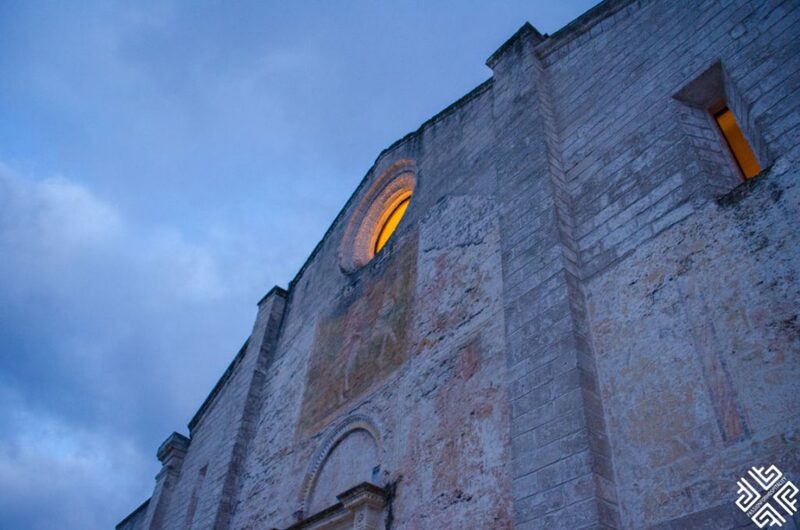 In 1756 the church was dedicated to Virgin Mary, Madonna del Rosario. 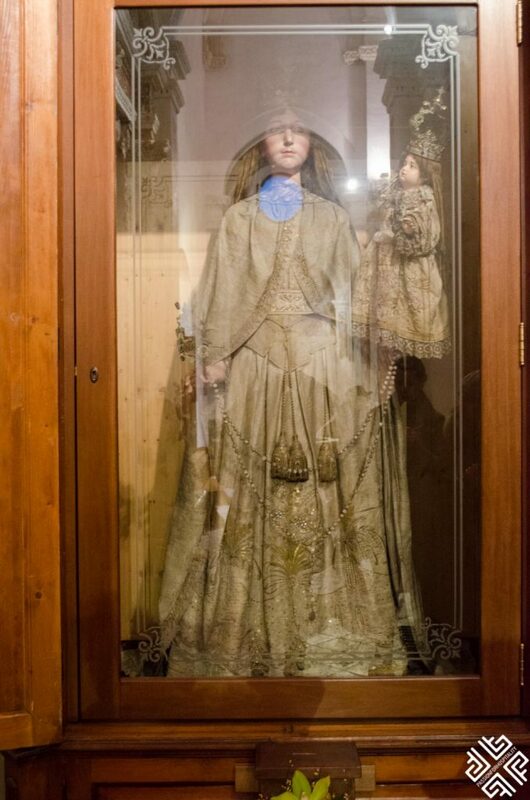 Inside the church there is a statue of Madonna del Rosario which dates back to the 18th century and is carried around the city on the day of the saint’s celebration which takes place during the second week of October. 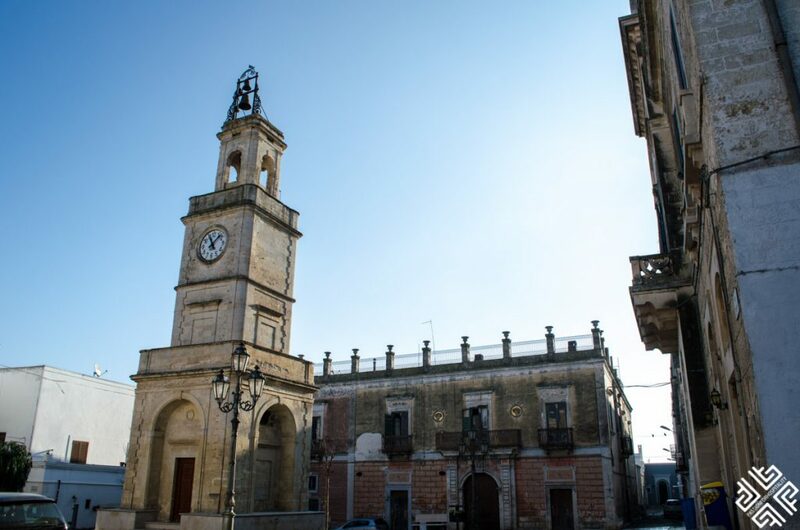 The clock tower is located in the heart of Piazza Orologio surrounded by impressive abandoned 19th century buildings with remarkable mosaic paintings. 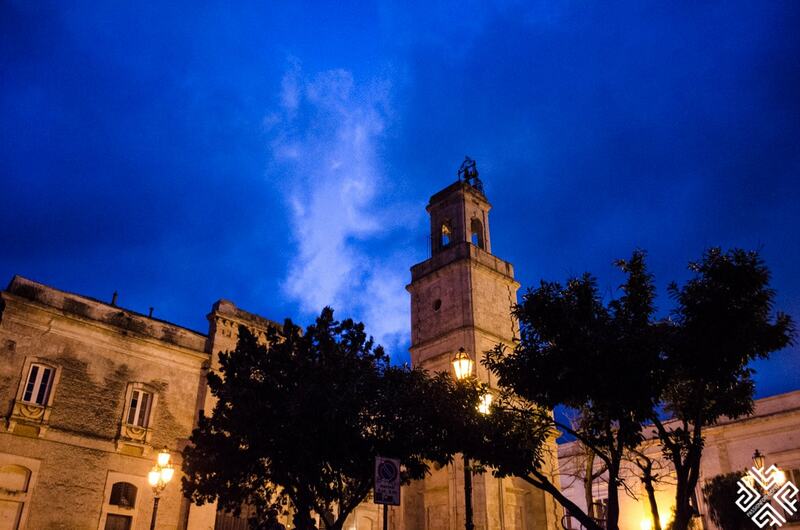 We passed the square on numerous occasions but it looked dazzling during the evening hours with a remarkable shade of the dark blue sky as a backdrop. 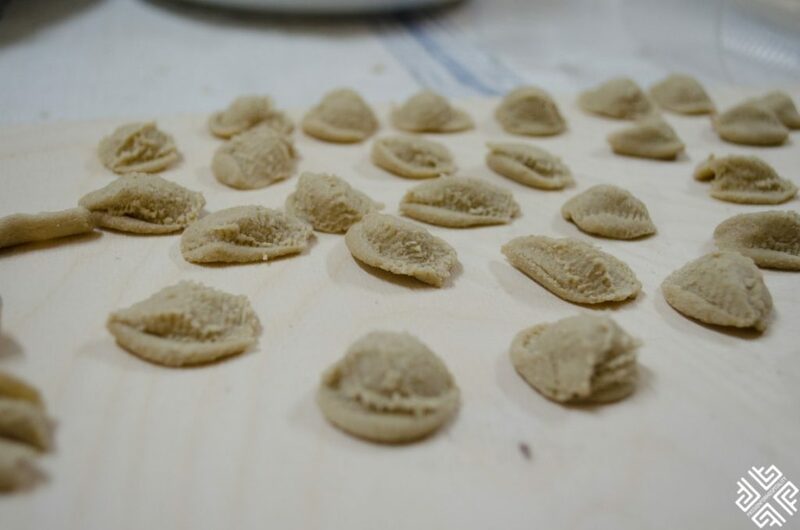 On our first evening in Ginosa we were invited for a one-of-a-kind traditional pasta making experience at the XIX century bakery Forno Ottocento. For the full story please see my previous post here. 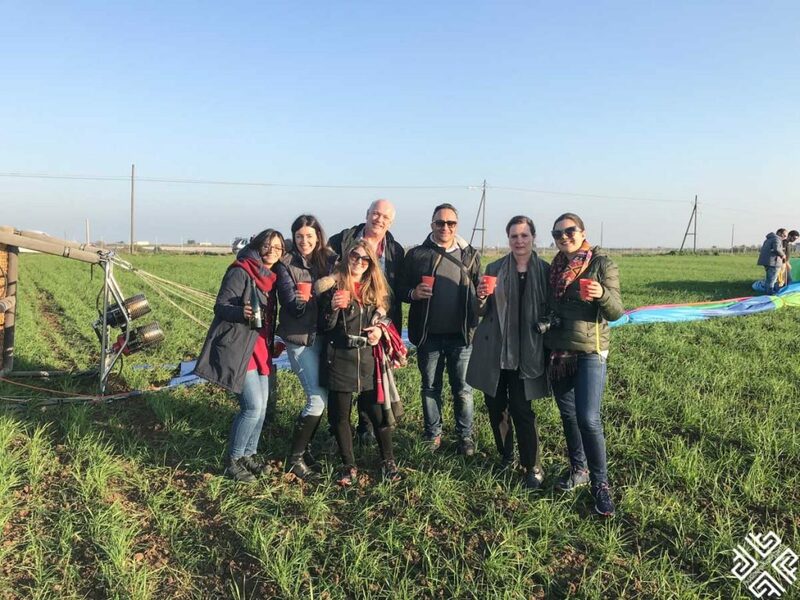 Every morning in Puglia started with a coffee break. After which we went on a walking tour of the downtown Ginosa. 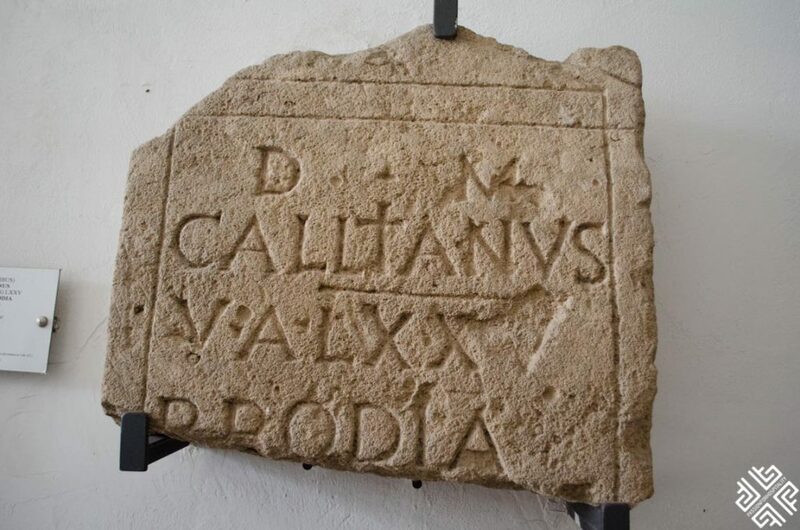 The Archaeological Museum of Ginosa is located in a historical palace which was built during the 12th century. 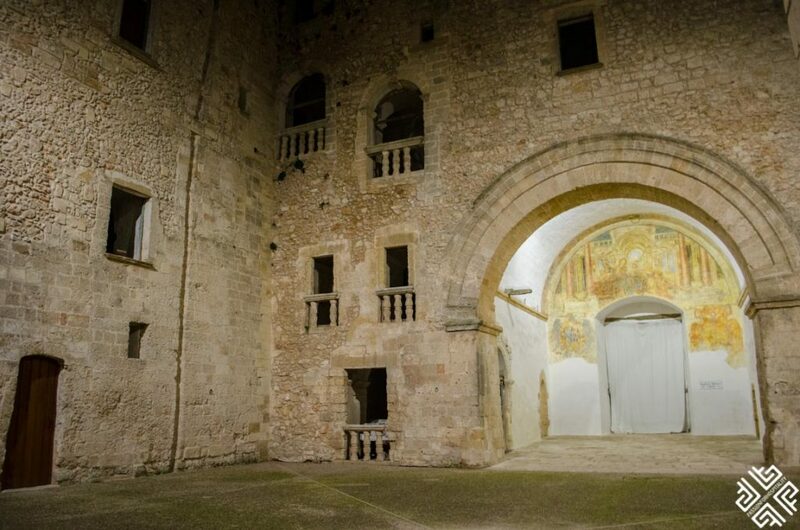 Over the centuries it was continuously renovated and used as an Augustinian monastery up to the 19th century. After which is was used as a municipality building. 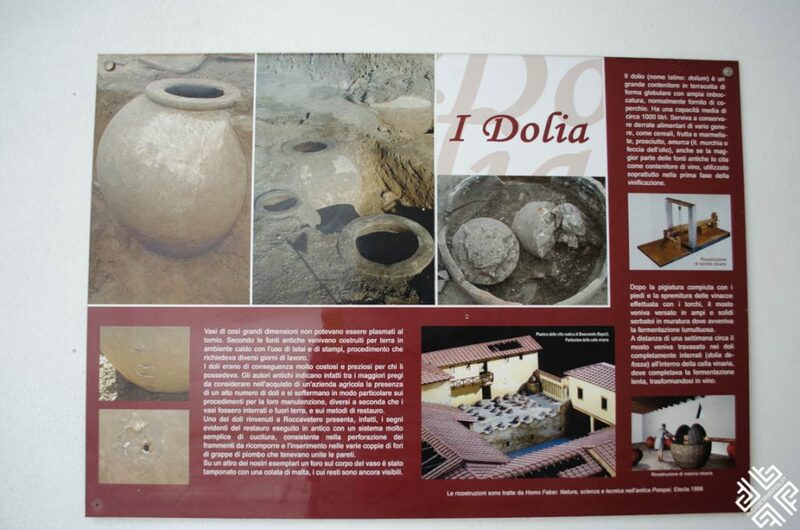 Today it is used as a depository for all the archeological finds from as early as Stone Age. 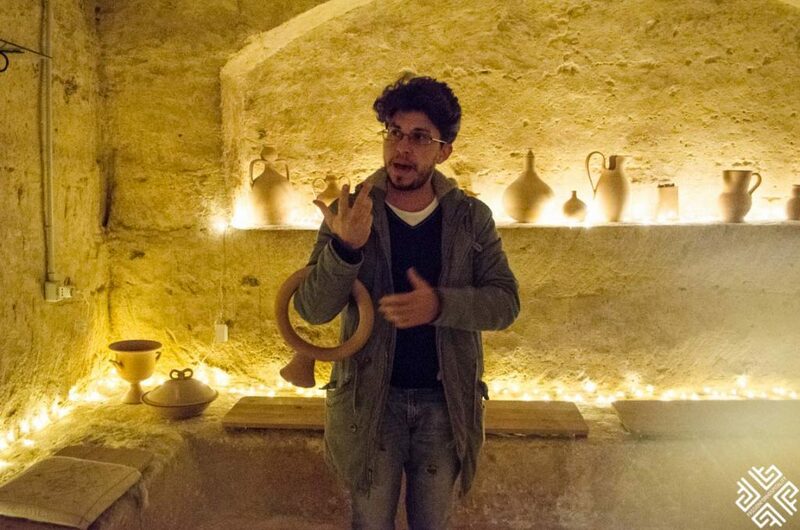 We had a guided tour with Dr. Vincenzo Stasolla who showed us everything from Dolia vases dating back to 2nd century BC to ancient human jaws. 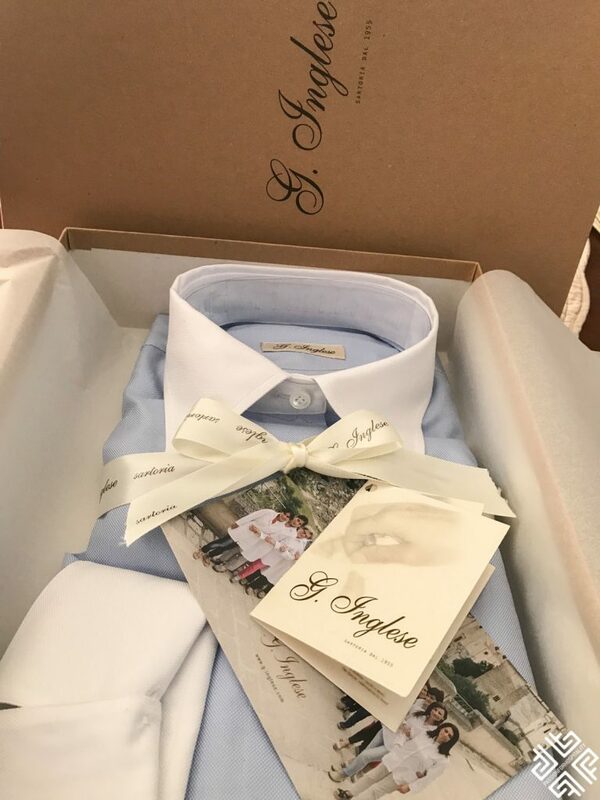 Ginosa is home to the famous artisan shirt maker Angelo Inglese who sewed the shirt which Prince William wore for his wedding and for President Donald Trump which he wore at his oath. 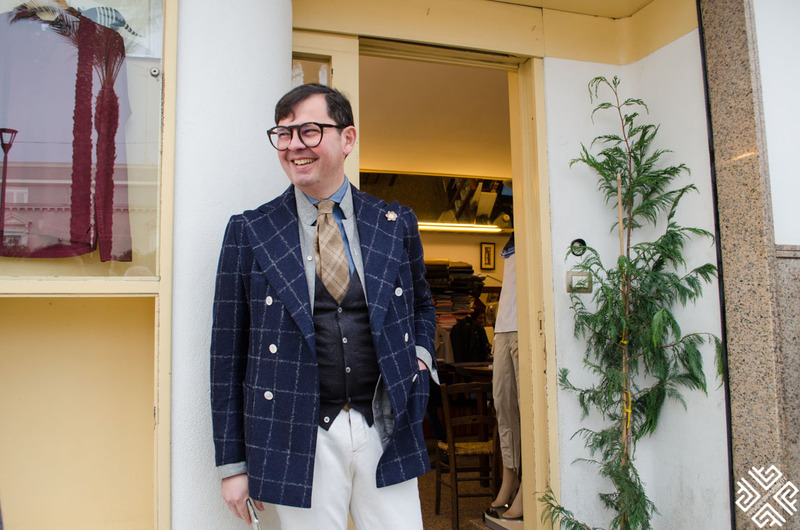 The store was established by Angelo’s grandmother in the 1950s who established the brand making ties and men’s clothes. 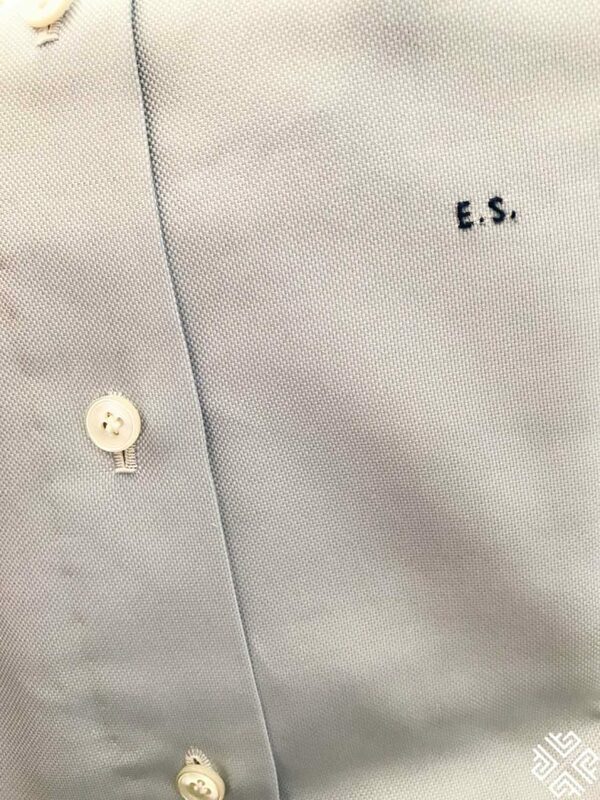 In the 1970s the Steel Industry emerged and thus affecting the demand for artisan shirts. 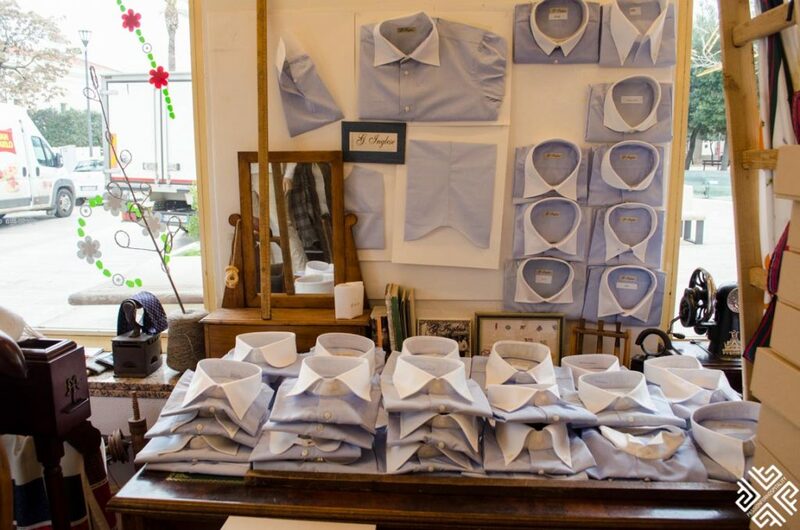 In 1994 Angelo took over the business after his father passed away with the goal of keeping his grandmother’s vision of making tailor made shirts alive. 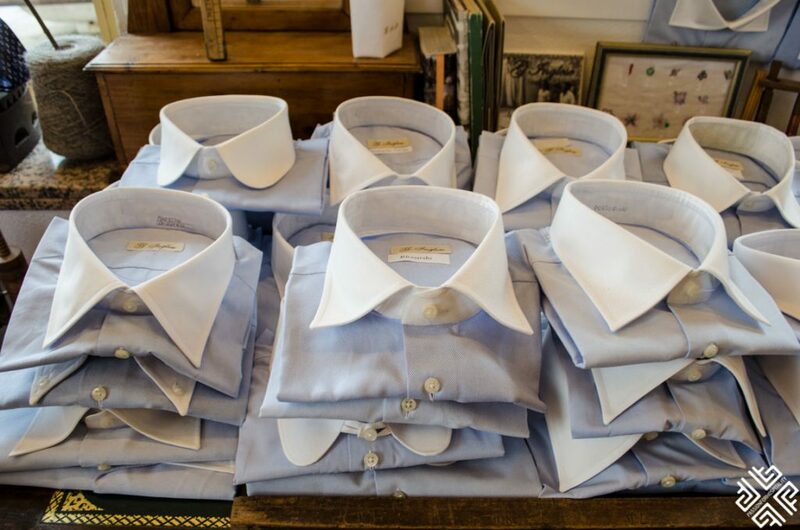 In the end of the 1990s Japan was the main market for artisan shirts and the Prime Minister of Japan was the first famous client. 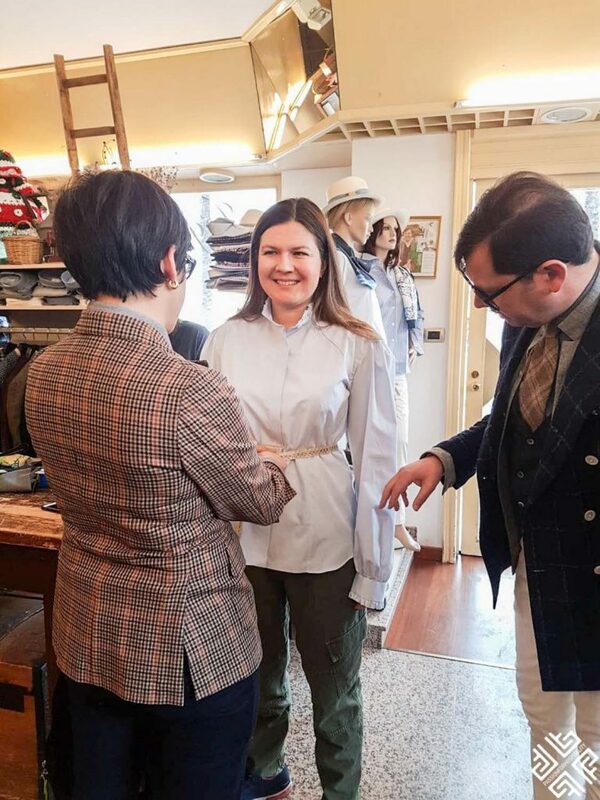 In fact the Minister was wearing a different shirt (not the finest of quality) which was mistaken for Angelo’s. 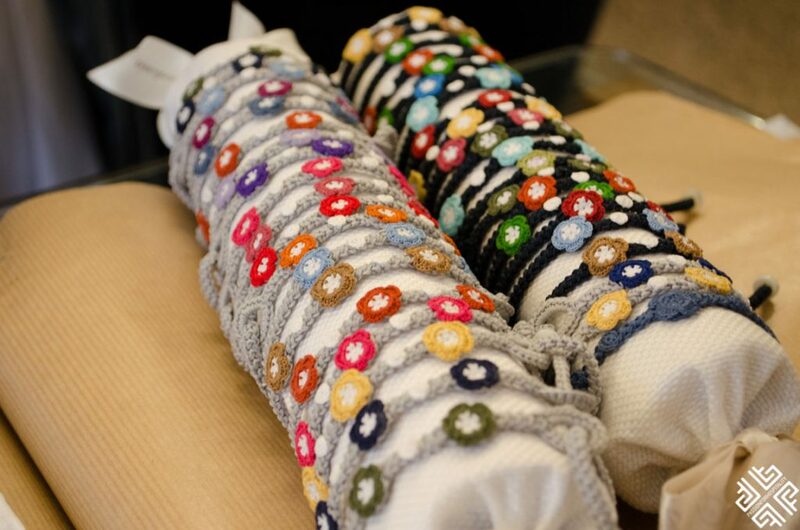 However, the bad publicity resulted in benefiting the brand and brining new business for the company. 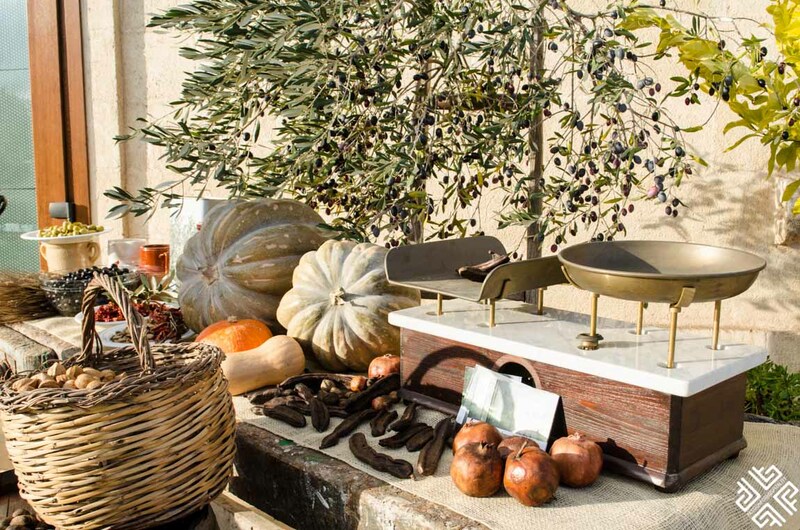 Over the years an international brand offered to buy out G. Inglese as a result Angelo declined the offers as he did not want his family tradition to disappear. 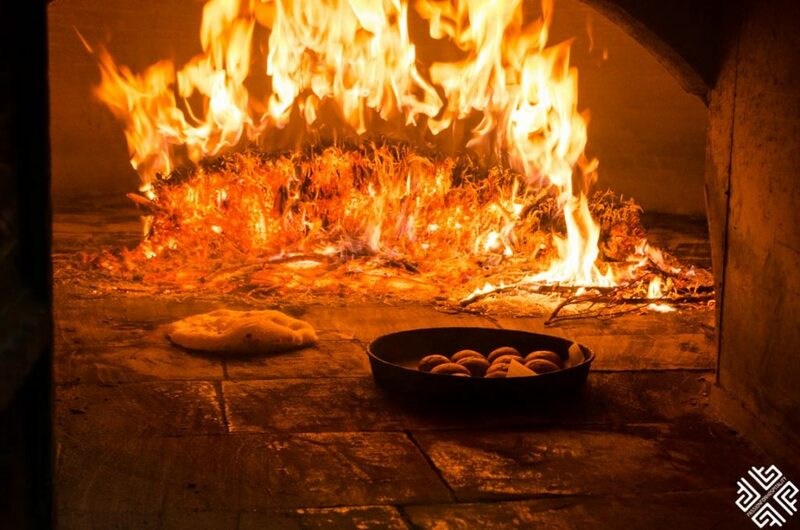 If you do find yourself in Puglia, you absolutely must visit Angelo. 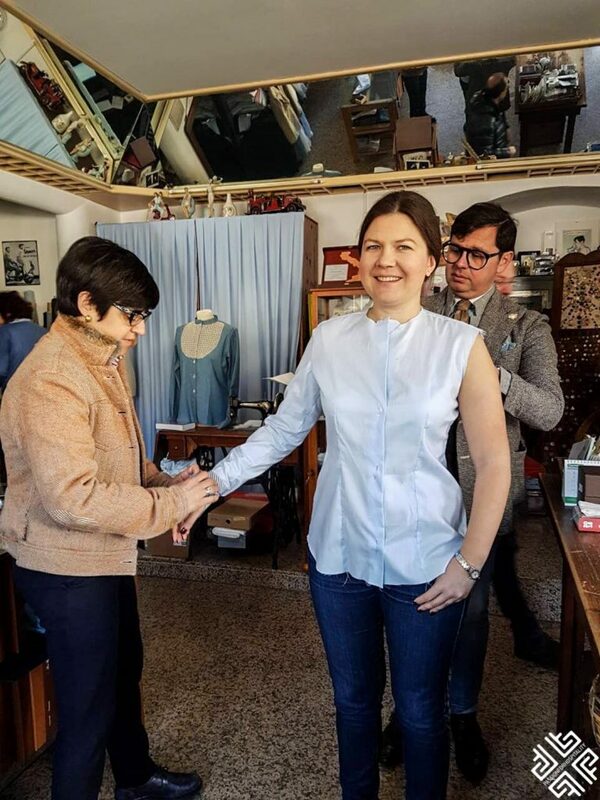 I could not resist leaving Ginosa without a custom made shirt by Angelo Inglese himself. The quality, the detailing and the fit is absolutely fabulous. 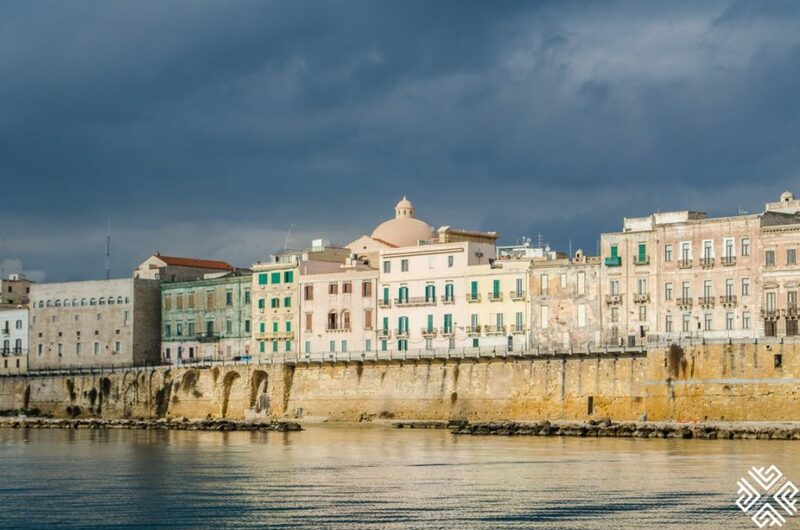 The enchanting coastal town of Taranto is set between the Mar Grande (Big Sea) and Mar Piccolo (Little Sea) which are connected by the Ponte Girevole bridge. 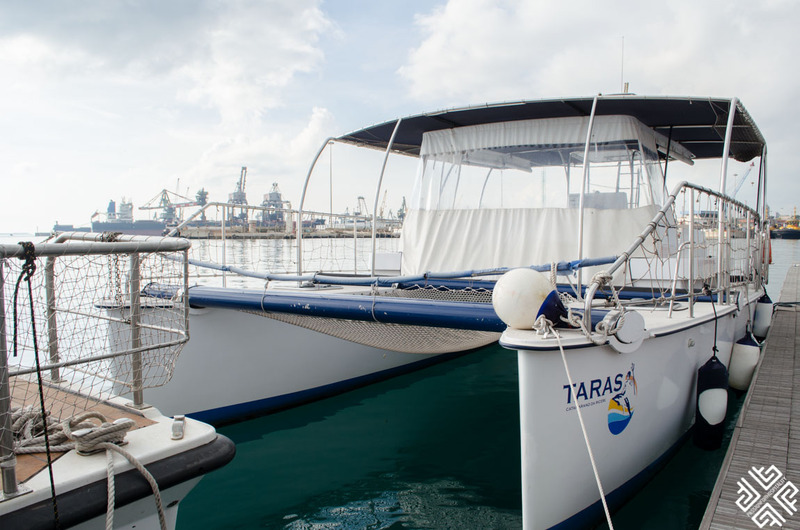 We had a wonderful itinerary planned for us to discover the Gulf of Taranto from the sea. 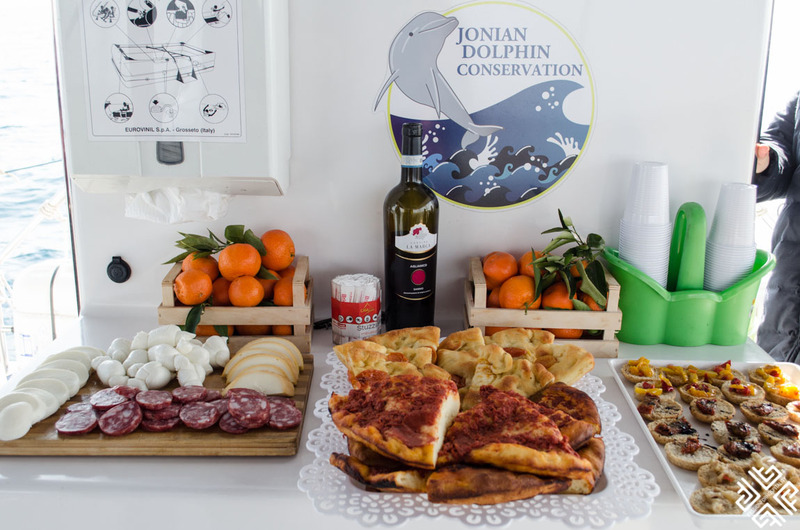 We joined a three hour boat trip with Jonian Dolphin Conservation which specialises in a conservation program which runs numerous dolphin and whale watching boat trips. 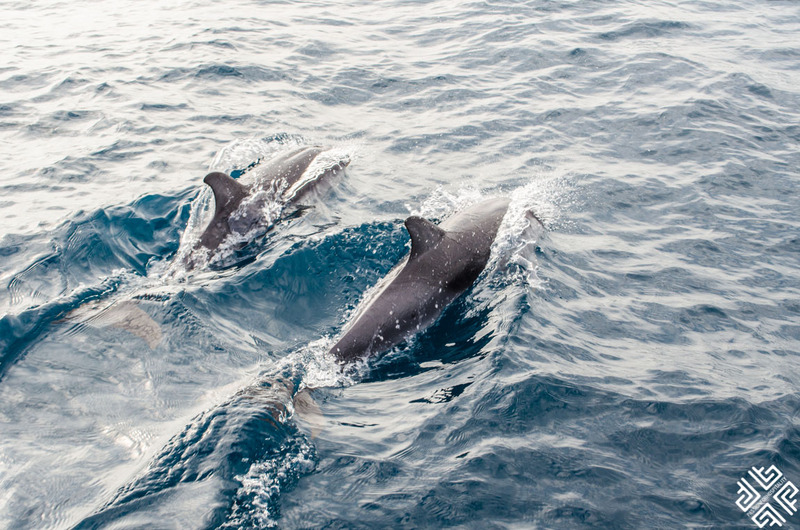 During our boat trip we were extremely lucky to see five dolphins, it was a one-of-a-kind experience. As our hosts explained that sometimes during the summer they would come across around 200 dolphins swimming all together at once. 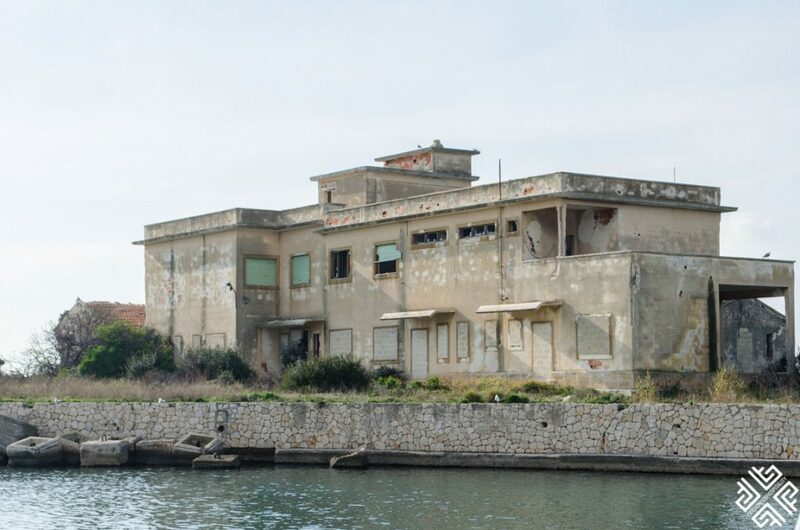 We reached the Castellaneta Marina and the protected area of Lago Salinella and Torre Mattoni before making our way toward the Marina di Ginosa. 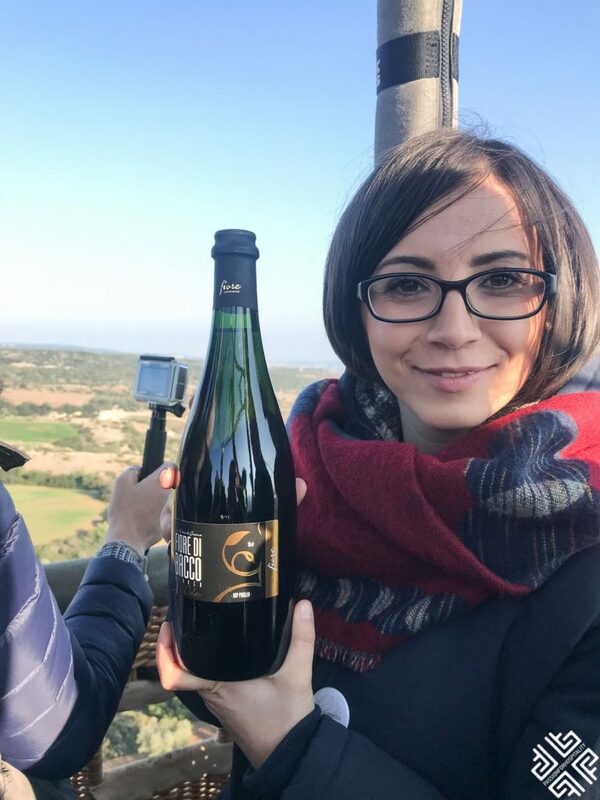 On board we also enjoyed some Italian delicacies and our favourite Primitivo wine. Upon our return we also passed by the notable historical 15th-century Aragonese Castle and admired the centero storico which was illuminated by the glorious afternoon sunlight. 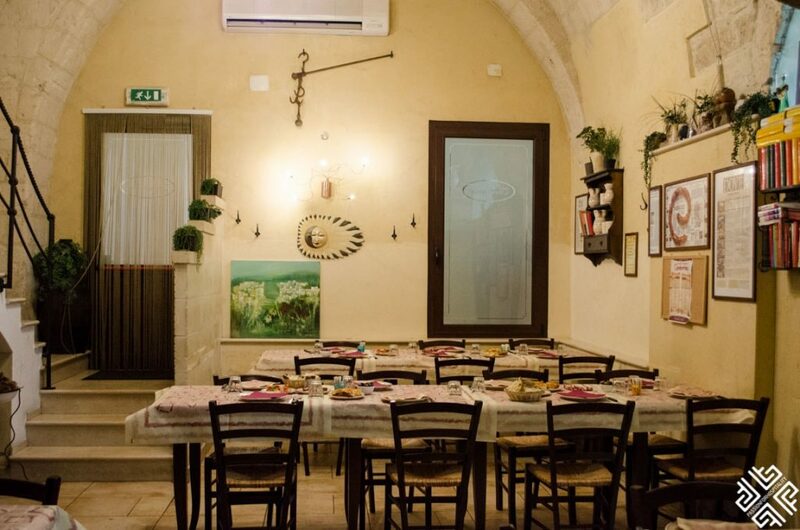 After our memorable boat experience we made our way to experience a Traditional masseria Agriturismo Il Praedio della Reale. 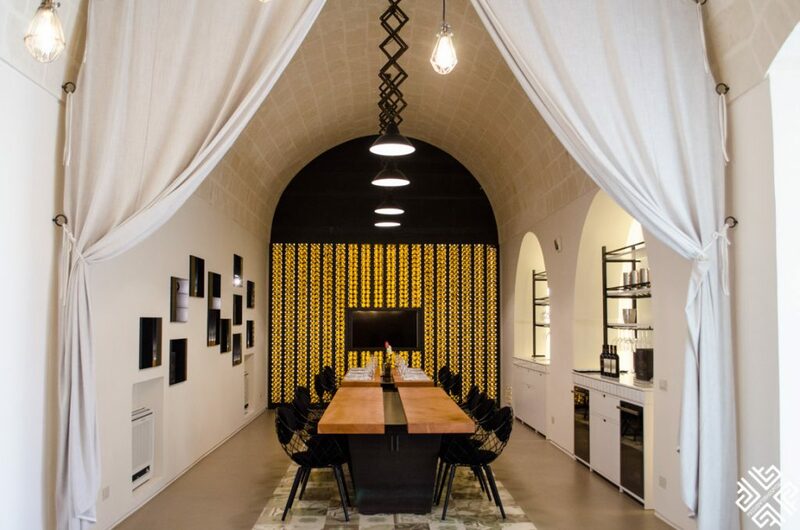 Puglia is known for its unique type of accommodation which is traditional farmhouses or masseria in Italian. 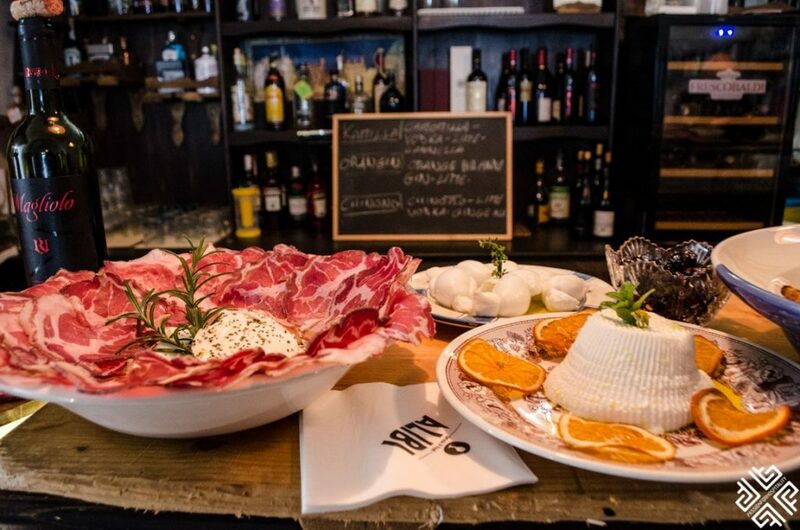 After a wonderful site inspection we savoured some more fantastic Italian delicacies and wine. 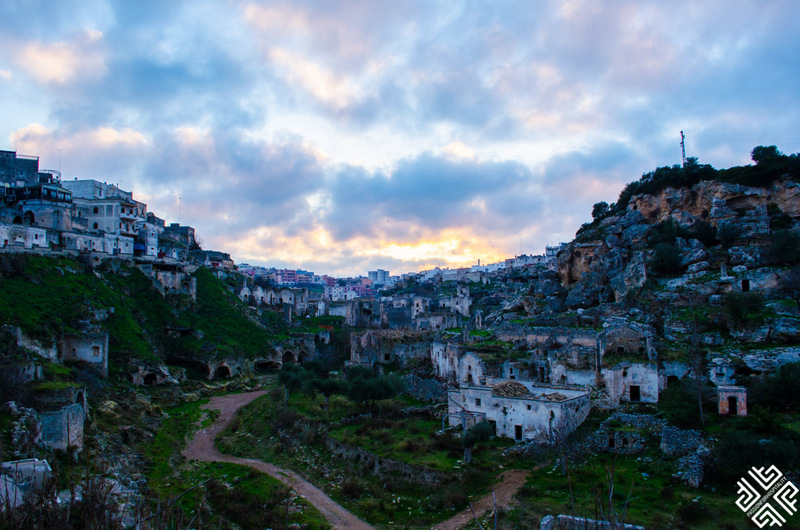 The distinct characteristic of Puglia is its unique Natural Park “Terre delle Gravine” or the Land of Ravines — which is made up of dramatic ravines formed over 125,000 years ago. 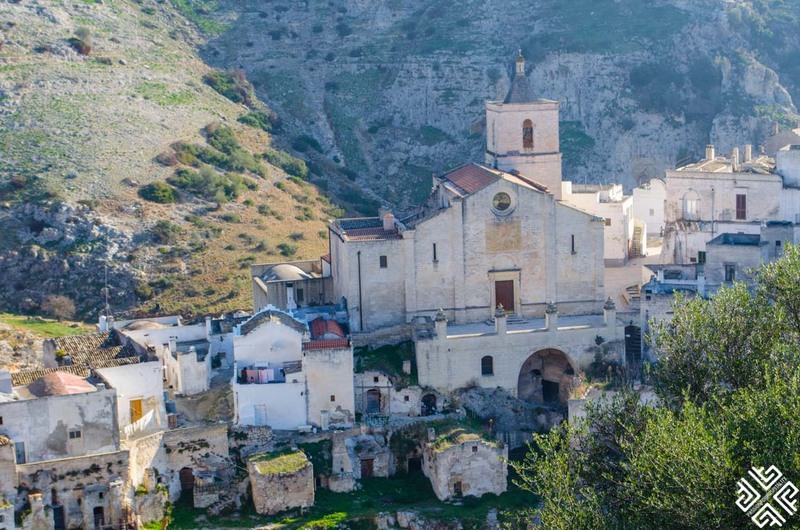 Rich in culture and charm the ravines stretch from Ginosa to Grottaglie, passing through the towns of Laterza, Massacre and Mottola. 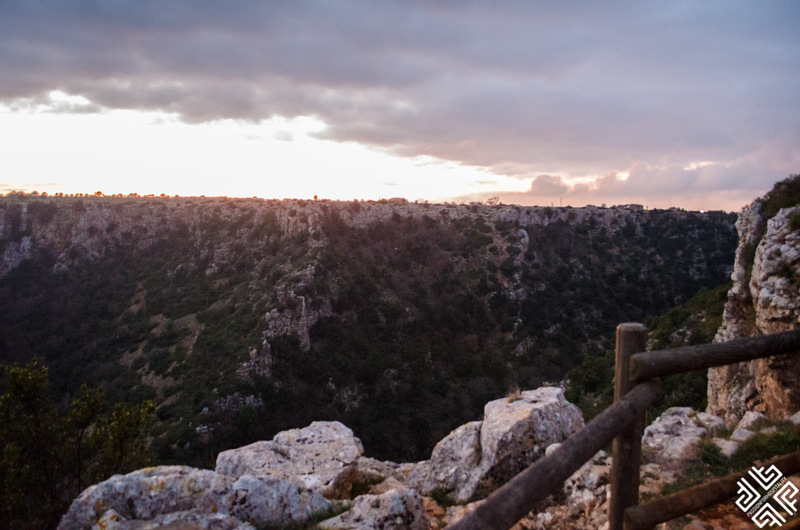 Just before sunset we reached the Gravina di Laterza, the most extraordinary of the region and one of the largest in Europe, it is 200 meters deep and 12 kilometres long. 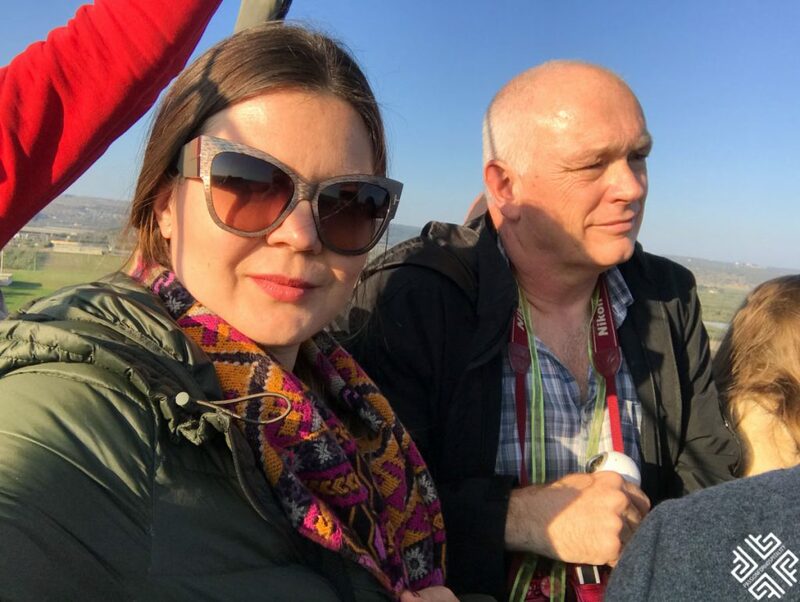 Bird-watchers will find this region particularly interesting as species such as the Egyptian Vulture, the Lanner Falcon, the Peregrine Falcon and the rare Black Stork have been sighter here. 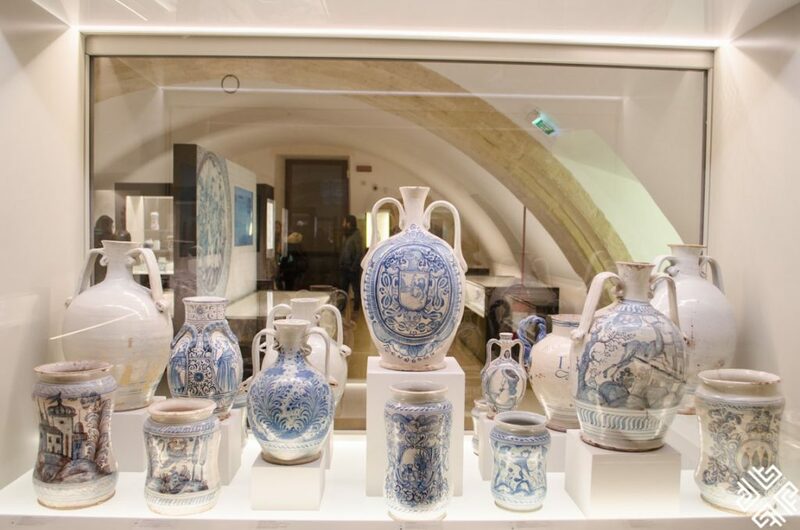 After the ravine we headed towards the town of Laterza where we admired the impressive Palazzo Marchesale and the Museo della Maiolica — which features a collection of a refined, white-glazed pottery of the Italian Renaissance. 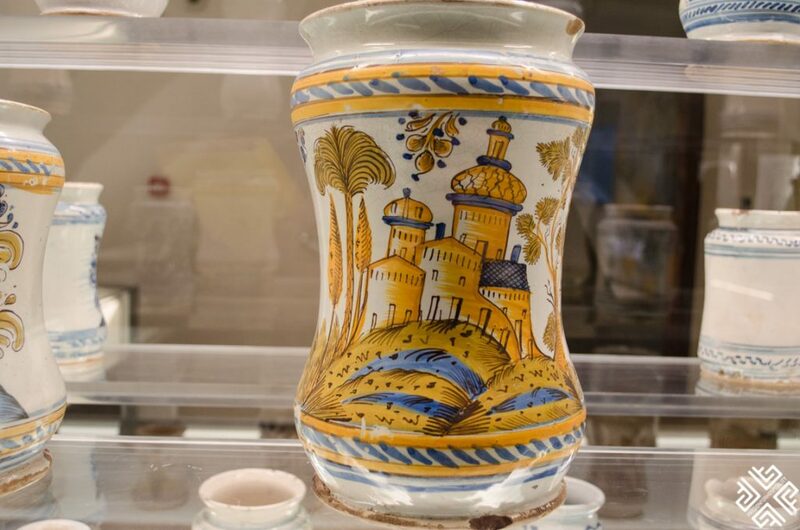 The clay is collected form the canyon and heated at 1000 degrees celsius after which it is hand-painted. 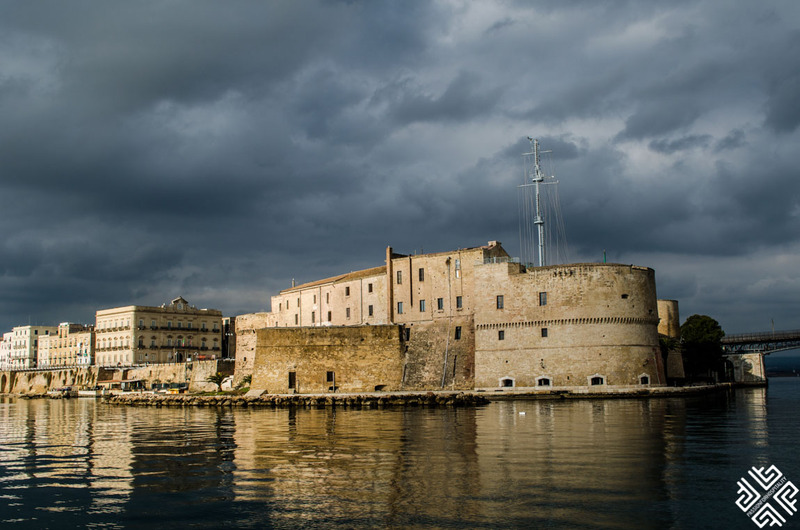 The historic center of Laterza which is the most ancient part of the city protected by the imposing walls of the castle has been inhabited since the Neolithic age. 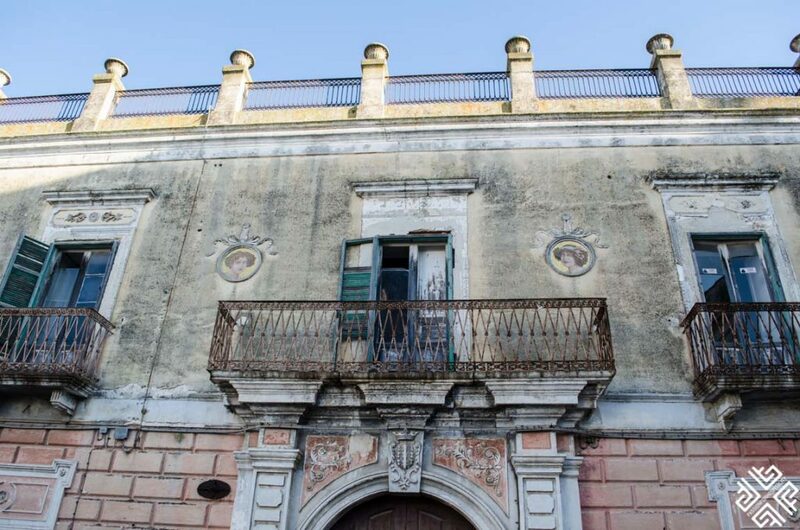 The Marquis Palace (Palazzo Marchesale) which was completed in 1393 is the heart and soul of Laterza. 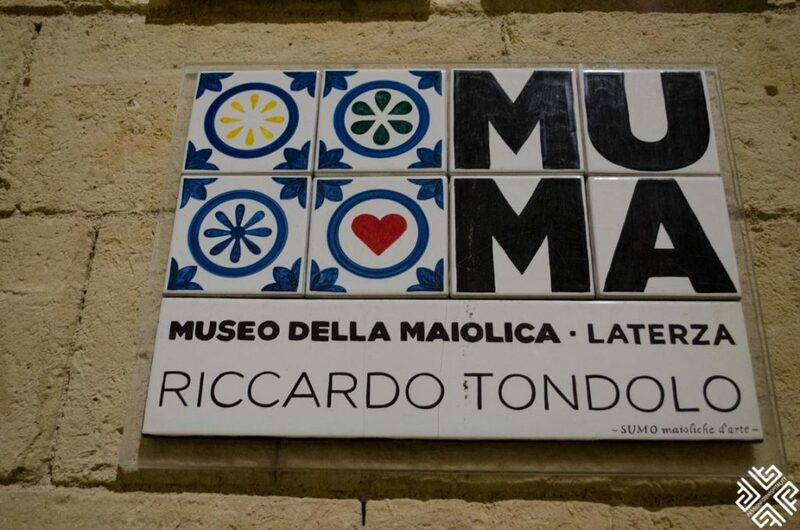 Here you will also find the MuMa (Museo della maiolica di Laterza) museum which exhibits a rich collection of ancient and precious majolicas — a characteristic kind of ceramic accents with tints of light blue, yellow, orange and green ramina. 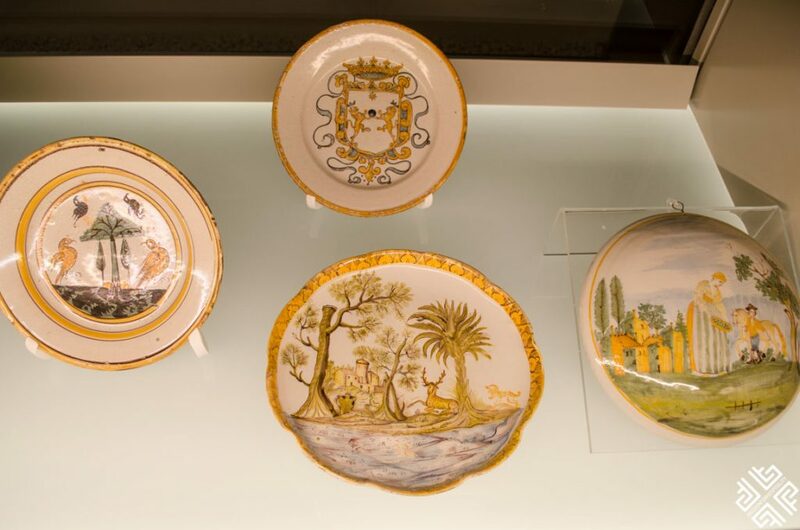 The plate collection of the museum is worth $4 million. 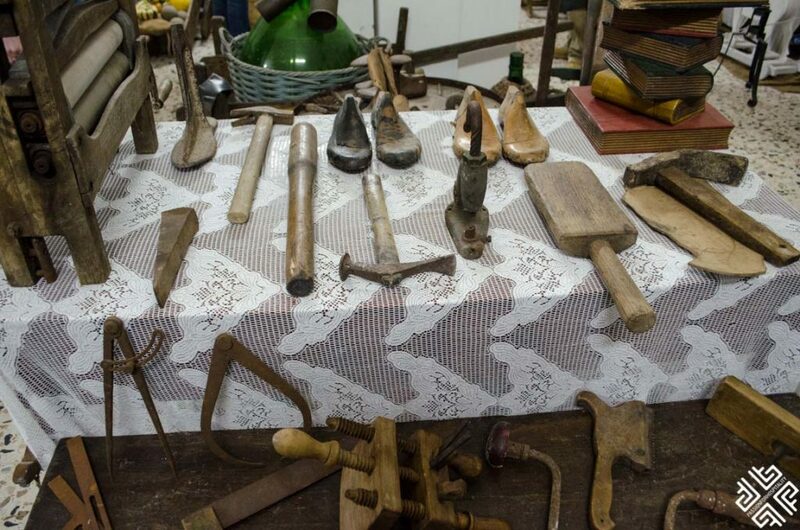 We then passed by the Peasant civilisation museum which displays a delightful selection of figures which tell a story of the region as it was in the past. 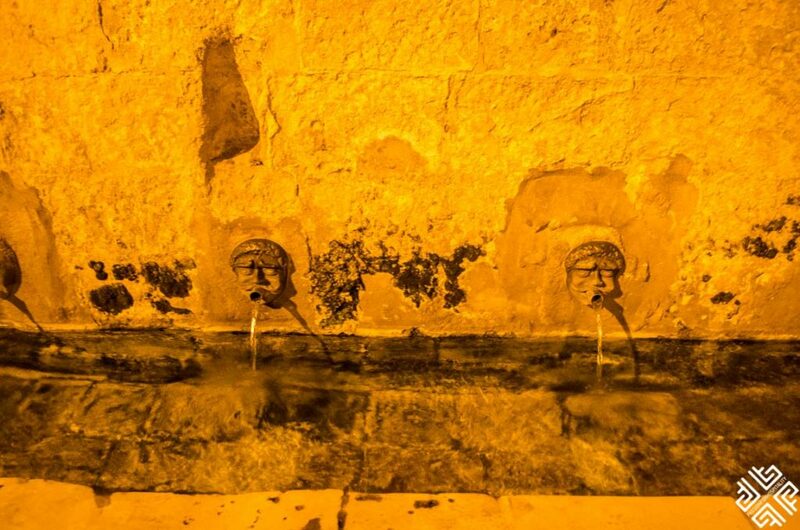 Another highlight of Laterza is the Fountain of the masks which was completed in 1544 and is used for supplying water to the city until this day. Especially during the warmer months it is a favorite meeting point where the locals meet for a refreshing afternoon to chill their watermelons. 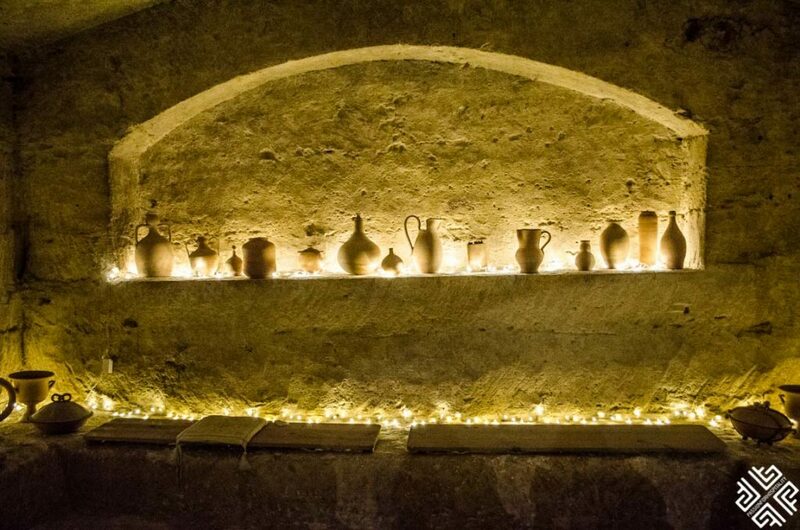 The MesoLab in Laterza is a fantastic new initiative which was started by young individual – Dominique Parisi, passionate above reviving ancient craftsmanship inside a cave laboratory. 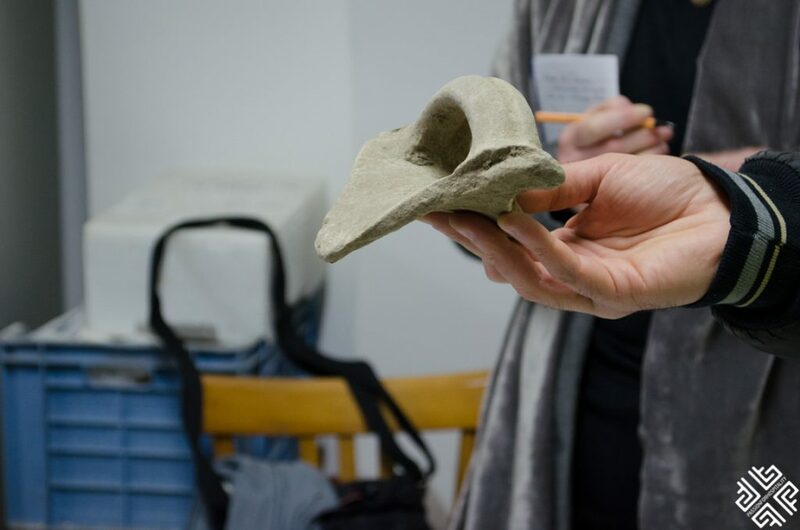 MesoLab also organises a series of kids classes to help children learn the craftsmanship which is deeply rooted in their culture. 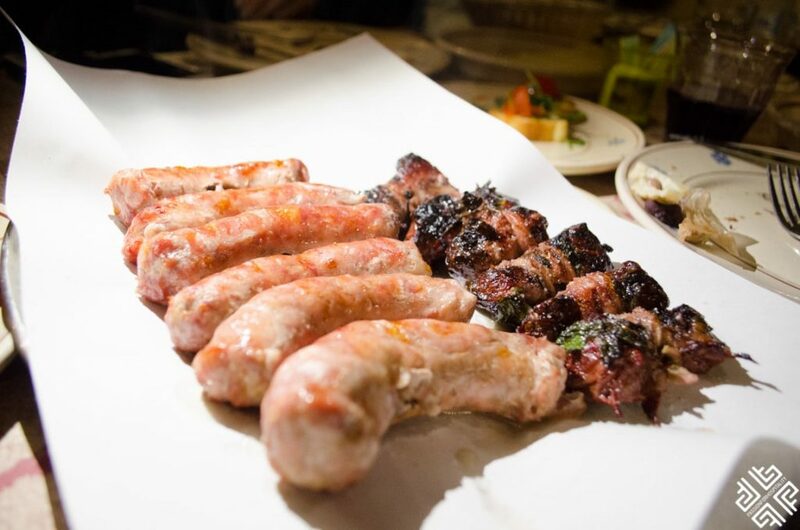 End the evening with tasting local delicacies at Macelleria Rosticceria Tamborrino, a traditional butcher shop which is one of the best in the region. 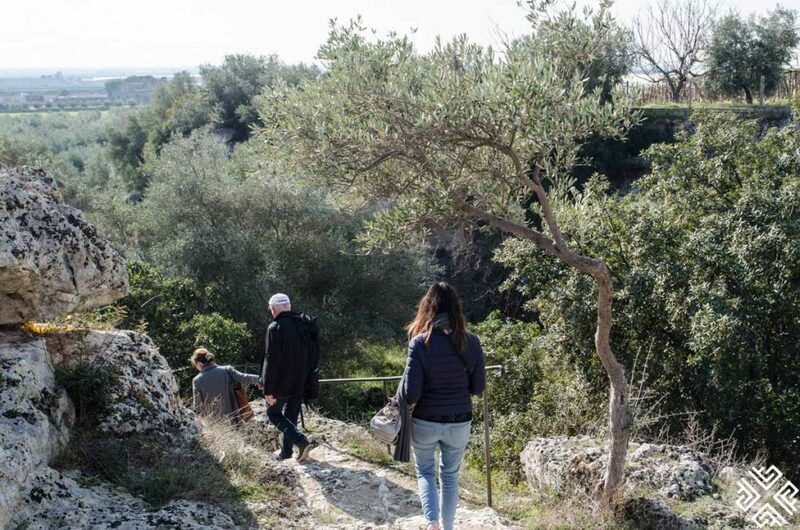 The morning of our third day in Puglia started with a wonderful blend of discovering art, history and nature. 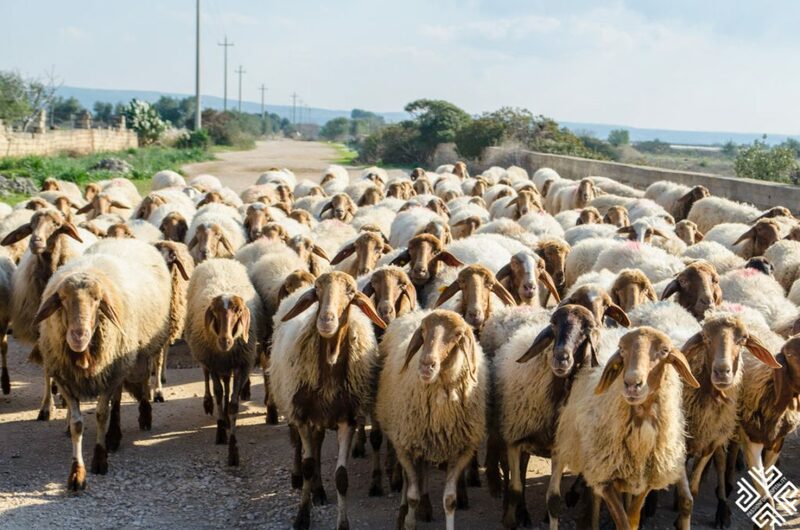 Greeted by a flock of sheep we made out way through the narrow paths lined by olive trees to reach the rupestrian Church of St Nicholas (Chiesa di San Nicola) hidden inside the rock carvings. 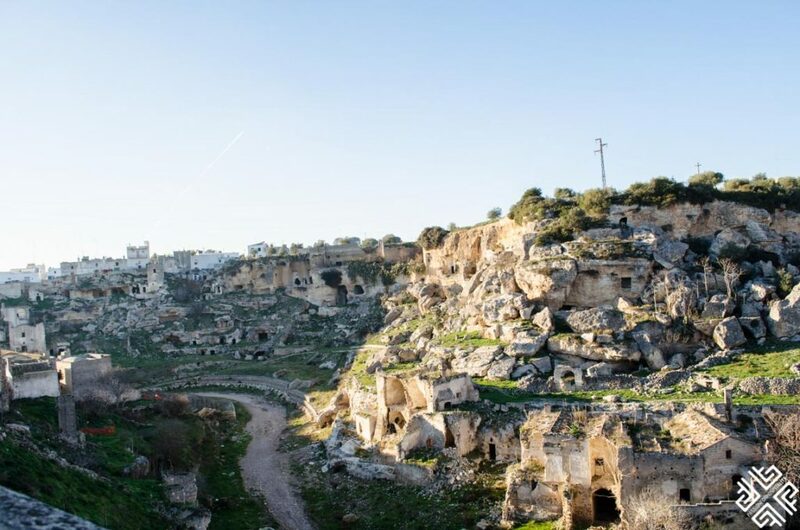 Set across from the lame which translates as the little canyon , the Byzantine church was carved in the 11th century. 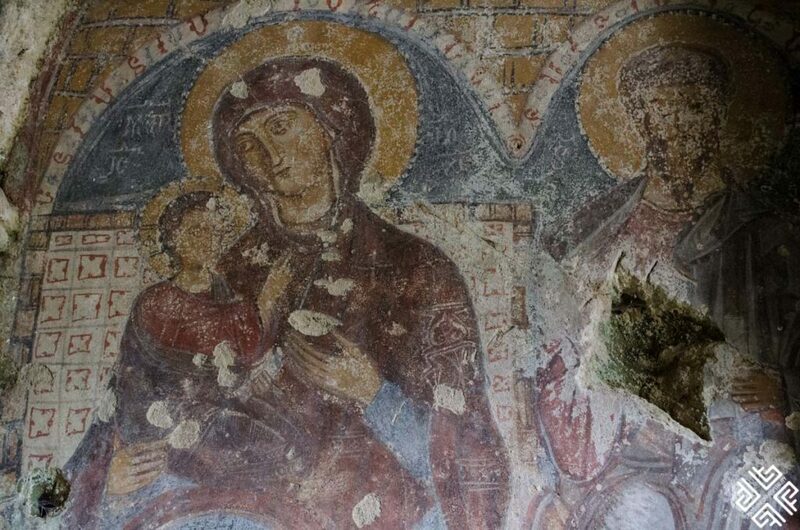 By the 15th century it was left abandoned however some of the frescoes are still evident until this day. The church is occasionally used for a few Orthodox ceremonies throughout the year. 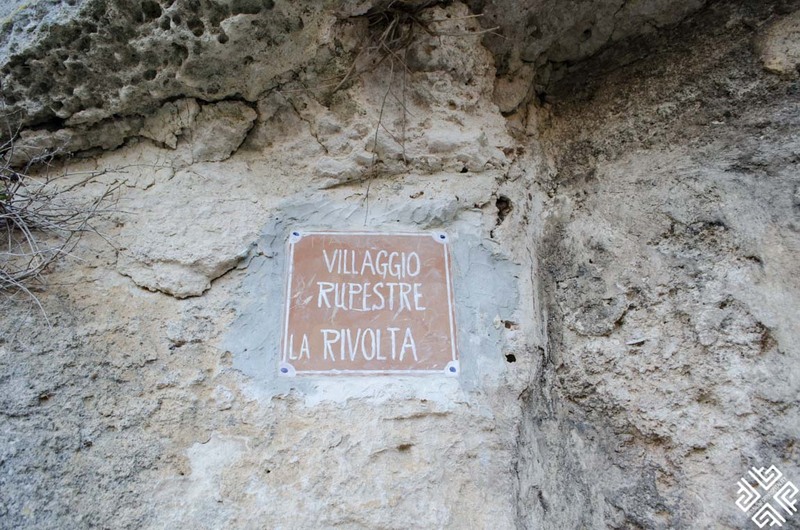 We then made our way towards the Ravine of Petruscio — La Gravina di Petruscio. 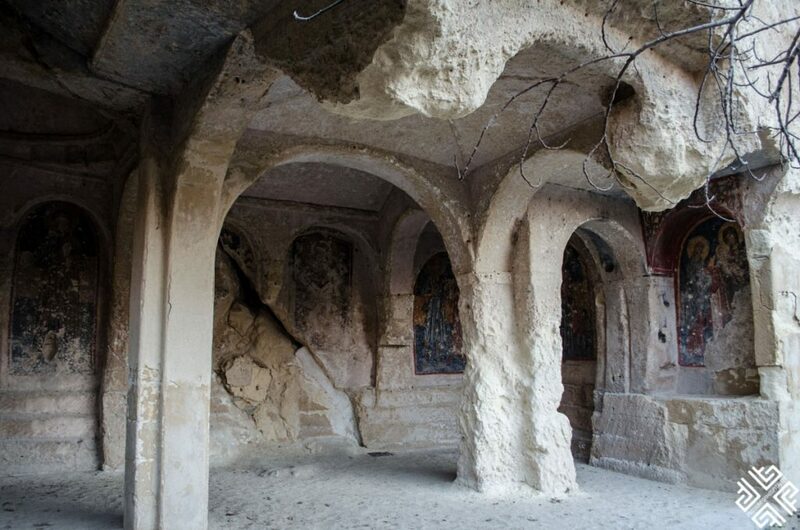 In the past its cave dwellings were inhabited by Byzantine monks who found shelter among its protected high-rising rocks. 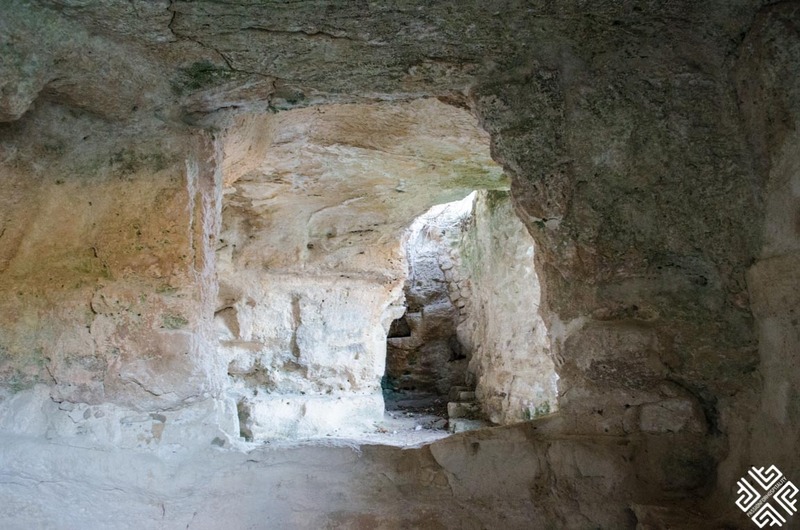 This unique ravine is commonly referred to as a skyscraper of cave dwellings which are interconnected through numerous floors. 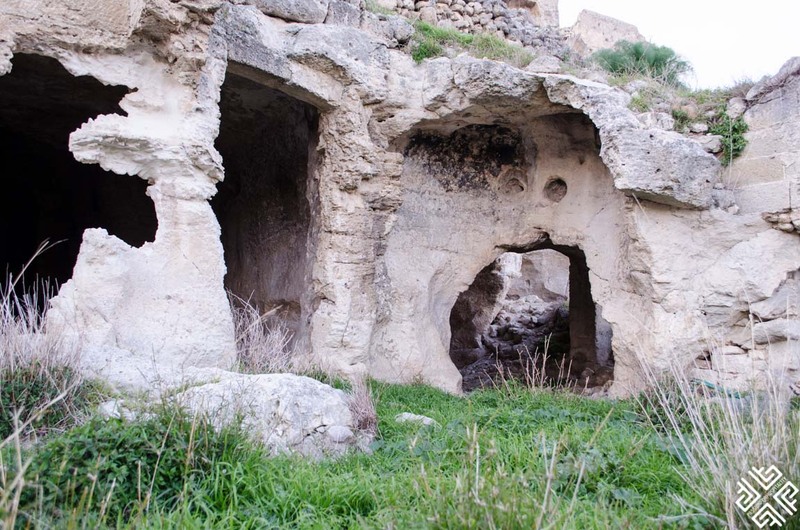 There are about 200 caves in total out of which only 100 have been discovered by scholars. We then headed to another magnificent rupestrian church of St. Gregory which was constructed to imitate a larger cathedral and was completed in a Roman style in the 13th century. 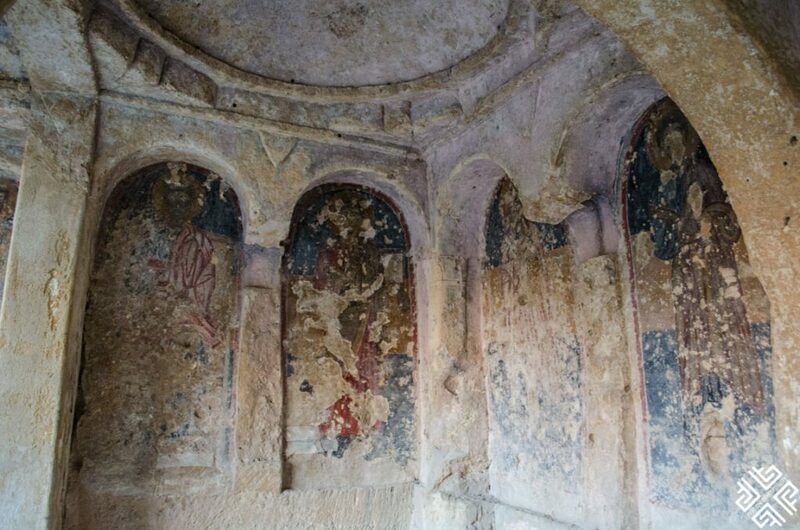 The initial carvings started in the 9th century and it was painted with remarkable frescoes from the 12th century onwards. 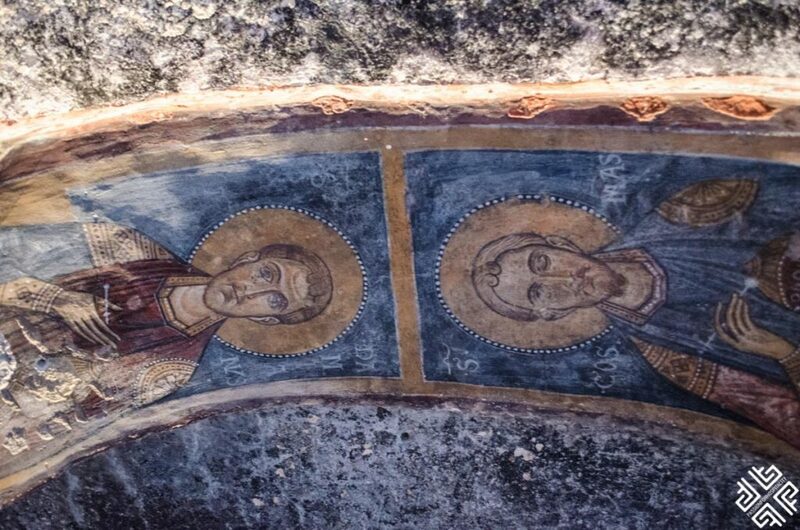 Only three frescoes have survived until this day. 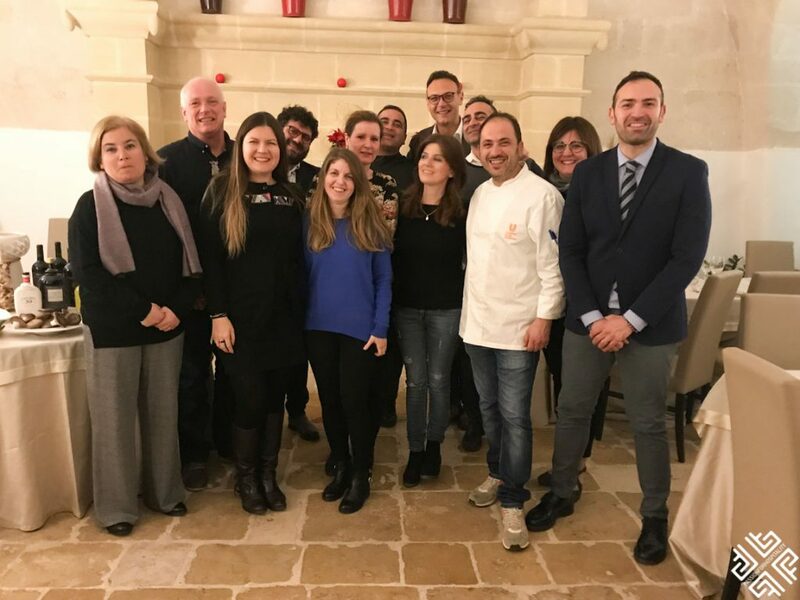 The program followed with a visit to a gorgeous Masseria Amastuola Wines & Resort where we tasted the famous Primitivo wine and enjoyed a delicious 6 course lunch and wine pairing. 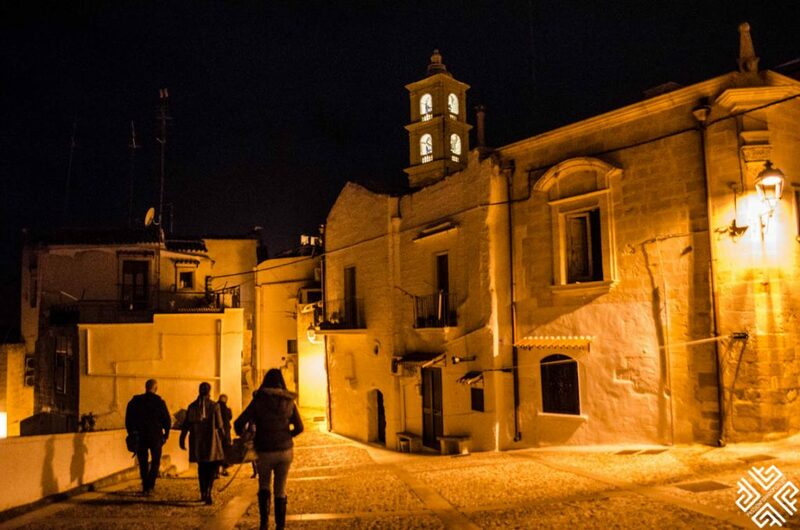 In the afternoon we made our way to Massafra, a town which lies between S. Marco’s ravine and the Madonna della Scala. 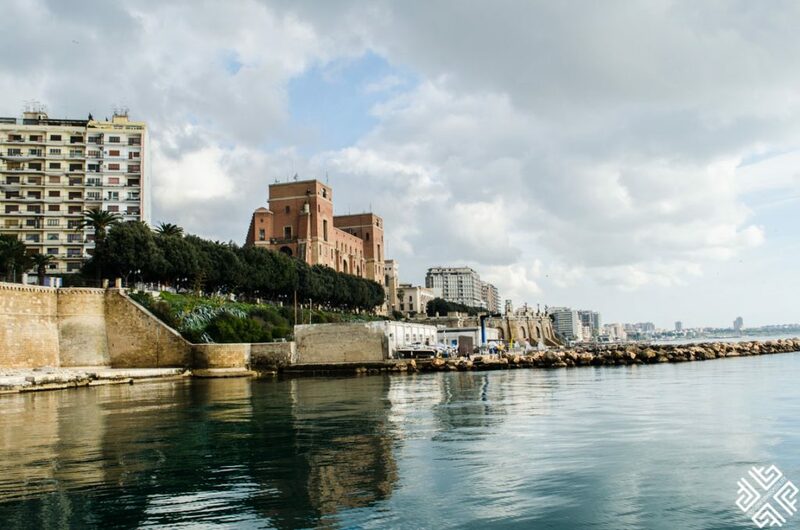 Known for its unique rock culture, Massafra attracted large immigrations of people due to its religious culture. 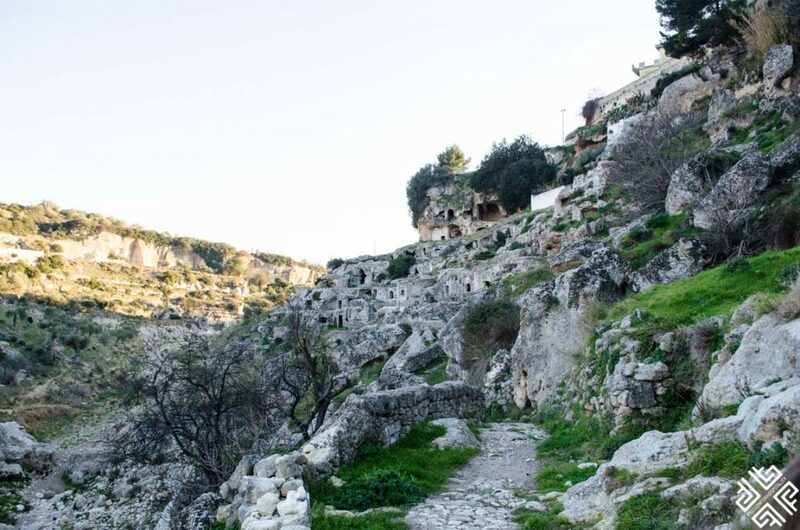 The famous cave of Madonna della Scal which spread for 4 kilometres is home to about 600 plant species — many of which are medicinal. Massafra is referred to as the land of masciari — the people who practice magic. 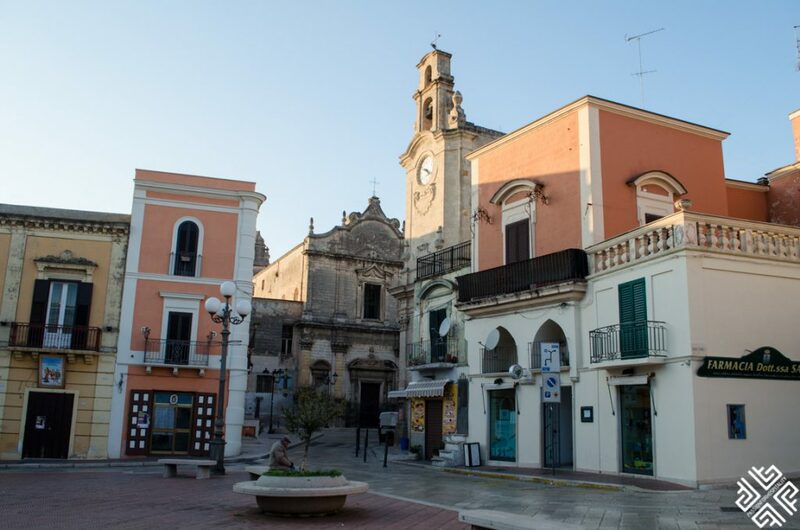 As we walked the winding streets we explored the famous Rupestrian Churches of Candelora, Sant’Antonio Abate and San Leonardo. 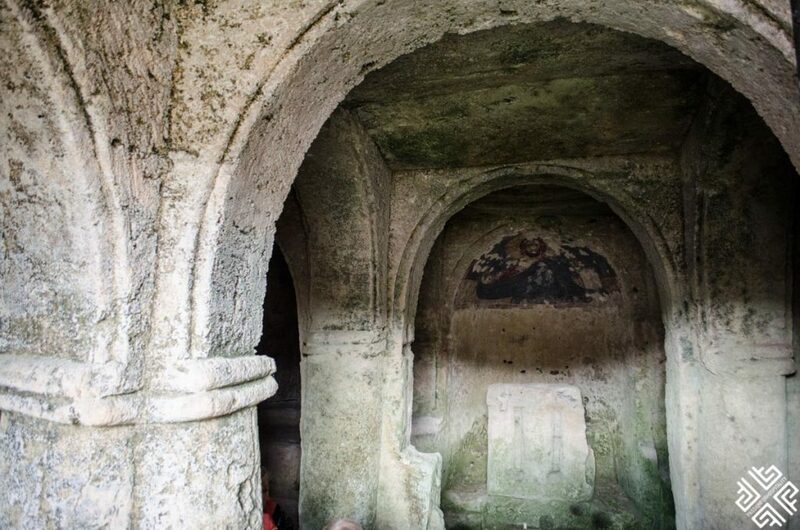 The Candelora church was built in the 11th-12th century. 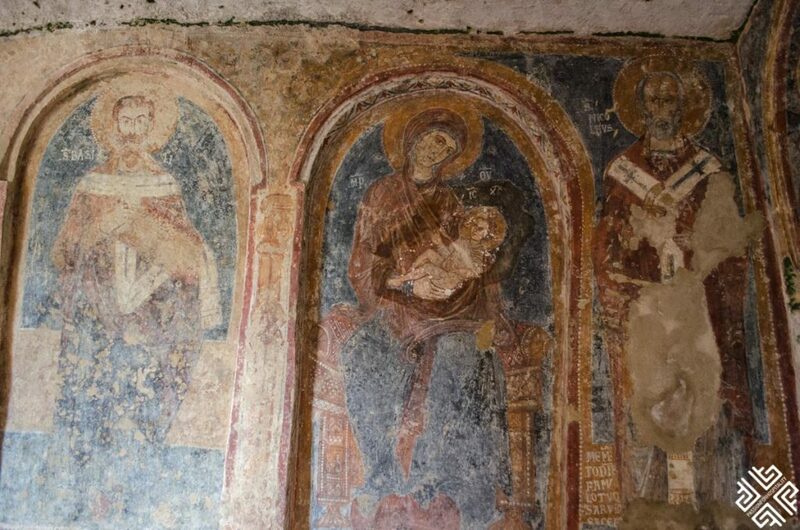 From the 13th century art took a different form and frescoes were painted on the walls using colours extracted from the plants and cover with bee wax which protected it for centuries. 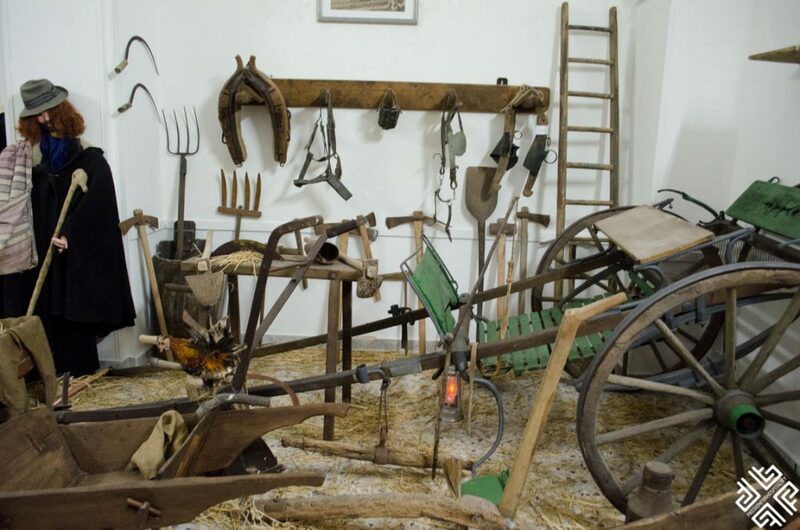 The Church of San Leonardo was used for worshiping until the 17th century and then turned into an olive press and later into a garage. 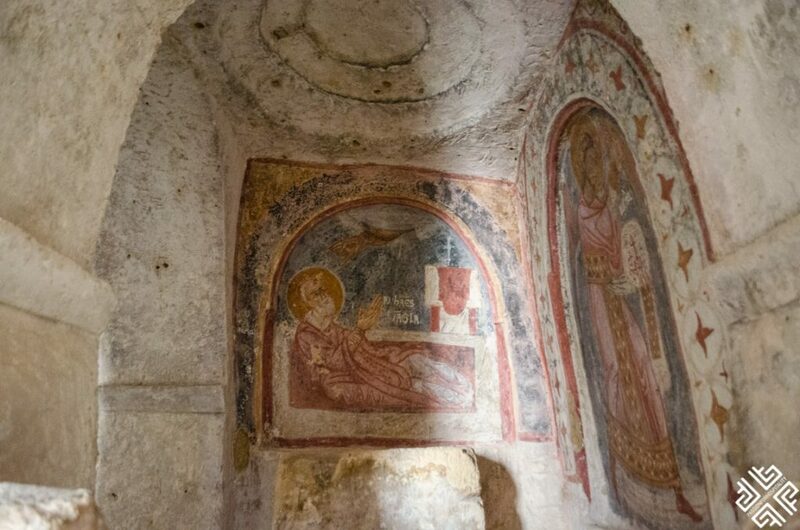 The church of Sant’Antonio lies underneath a former hospital featuring exquisite frescoes. 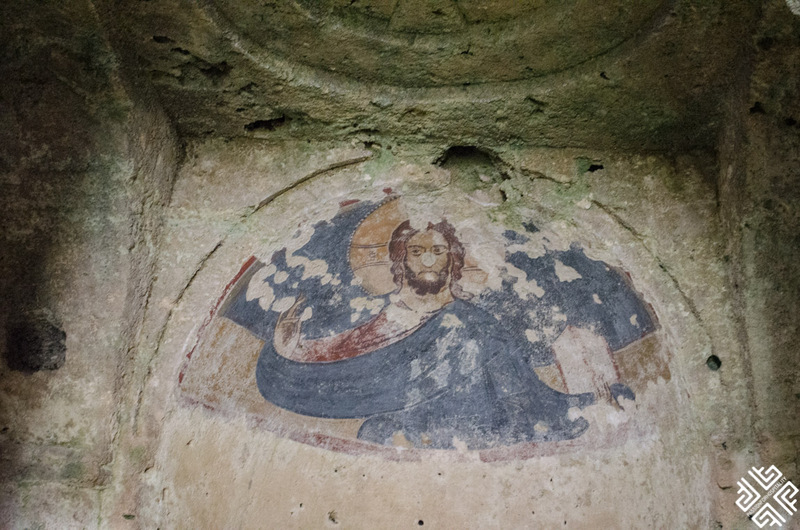 Thirty rupestrian churches are found in Massafra. 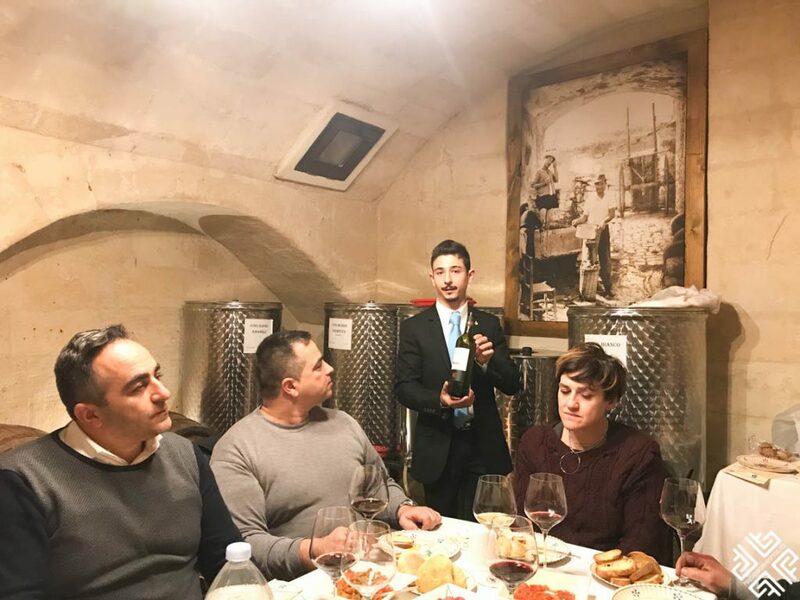 In the evening we returned to Ginosa to enjoy a fantastic wine tasting experience at the Domenico Russo with a very knowledgeable sommelier accompanied by Puglia’s traditional delicacies. 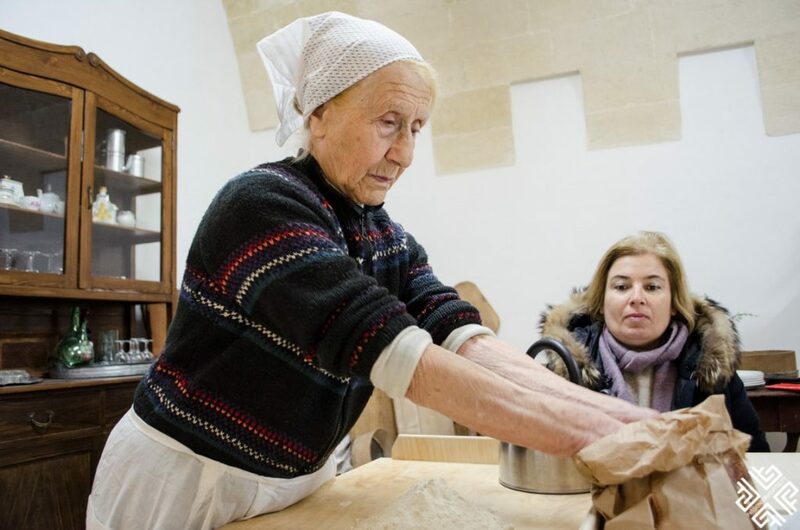 An absolutely must experience is a visit to Ginosa’s traditional bakery which is located right off the corner from the Albergo Diffuso Il Casale. Check out my hotel review here. 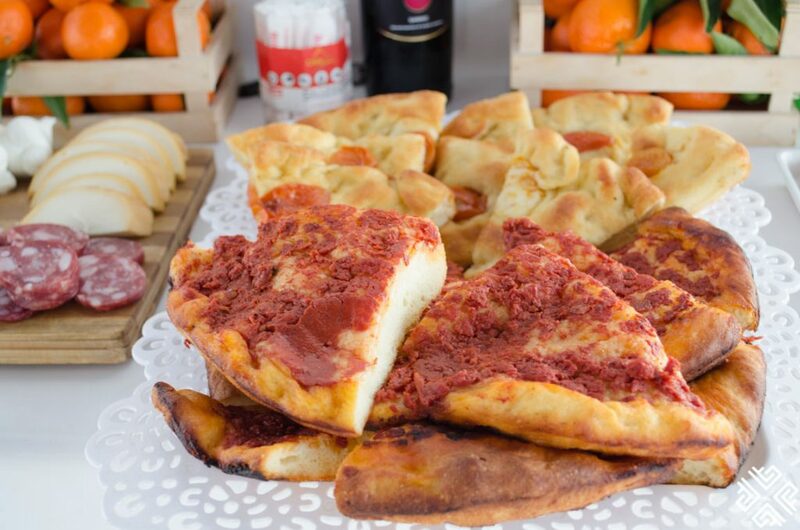 Panificio Piccolo which translates as the small bakery from Italian is operated by Peppino who continues his family tradition of baking bread, focaccia and other sweet delights. 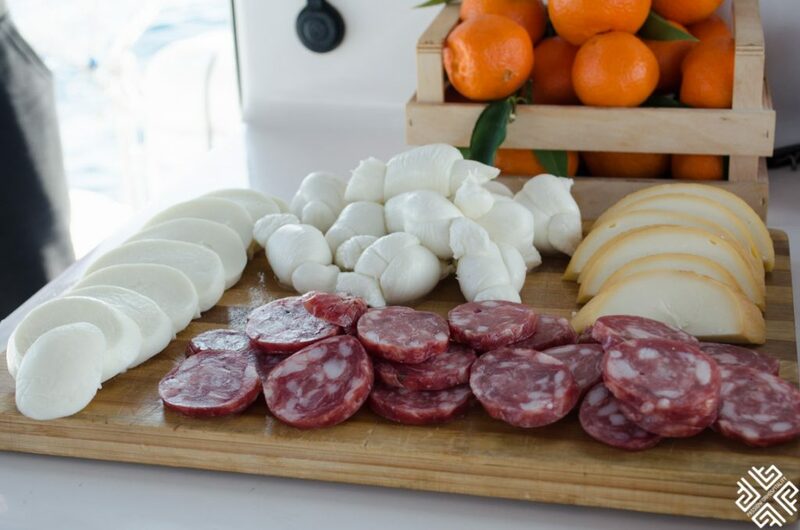 You will love Peppino even if you don’t speak Italian. 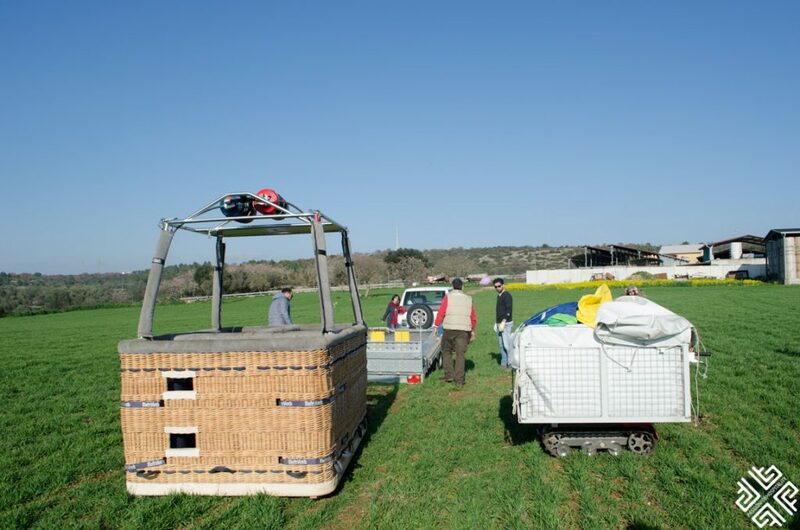 One of the highlights of our trip to Puglia was a hot air balloon ride with Landing on South Italy. 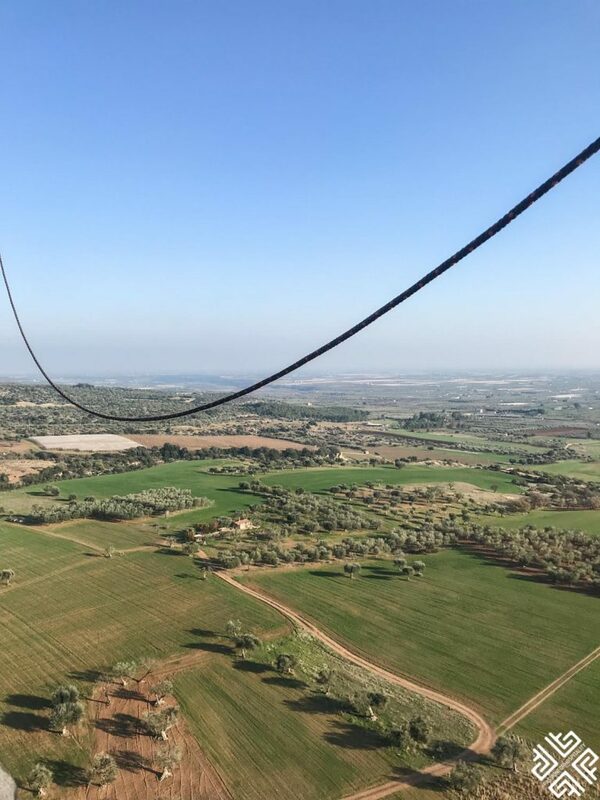 I am terrified of heights and swore I would never do this, but I had to follow the program and I am so glad I did. 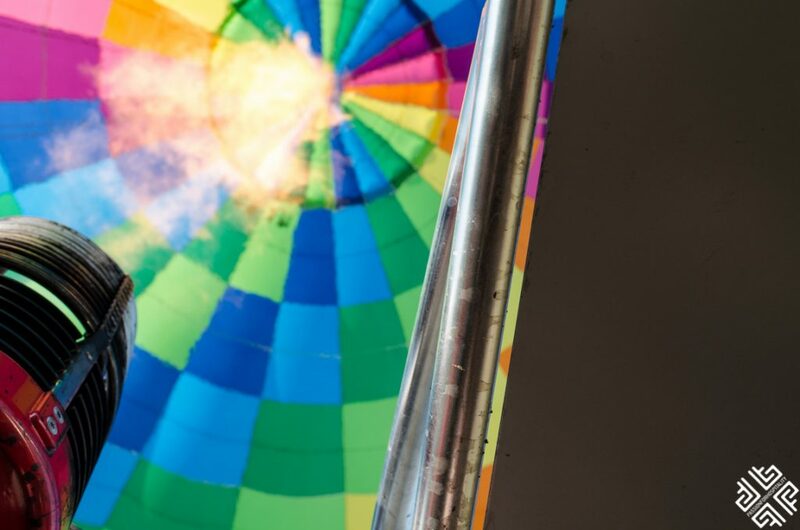 It was one of the most exhilarating experiences ever and I am so grateful that I got over my fear. 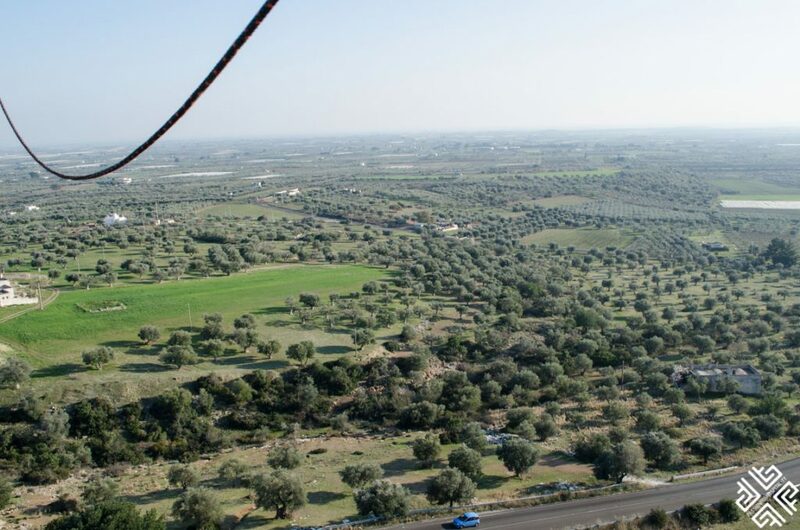 We flew over Ginosa and witnessed the magic of the ravines from above. 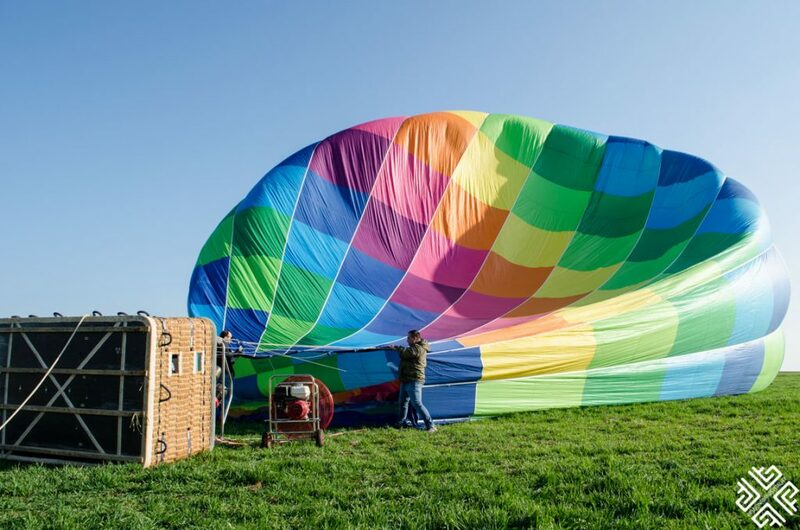 We then had to find a spot to land which is quite an interesting process, to be honest I was slightly anxious but once we touched the ground it was time to relax with a glass of wine to celebrate our achievement. 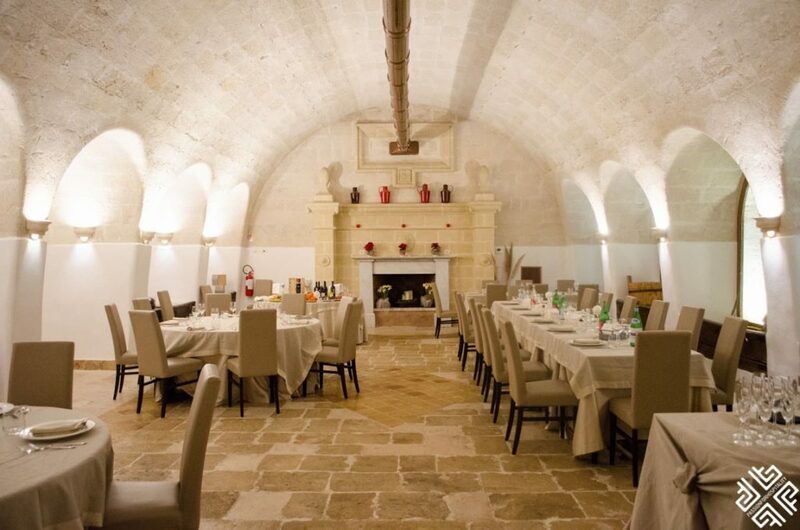 Our goodbye gala dinner took place at the Masseria Savoia Resort set in Ginosa Marina where we arrived in the evening to enjoy yet another exceptional Italian feast. 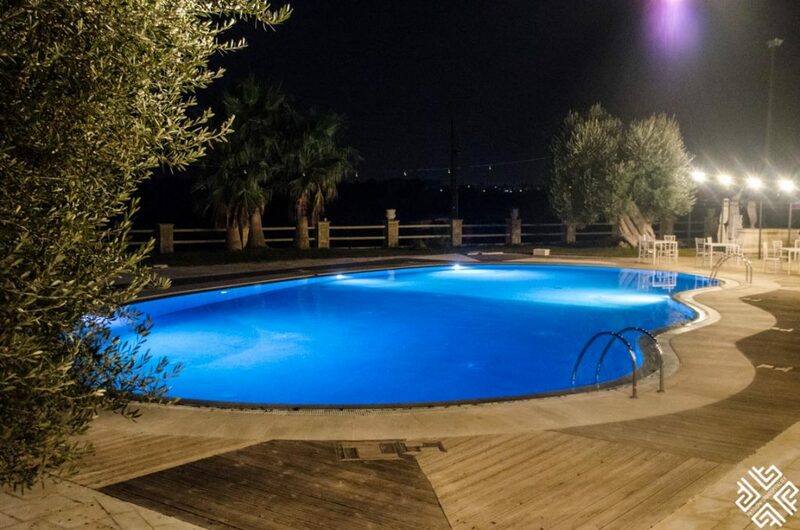 Set amongst orange tree gardens and olive groves the masseria has a large seasonal outdoor pool which adds a touch of romance to this traditional rustic environment. 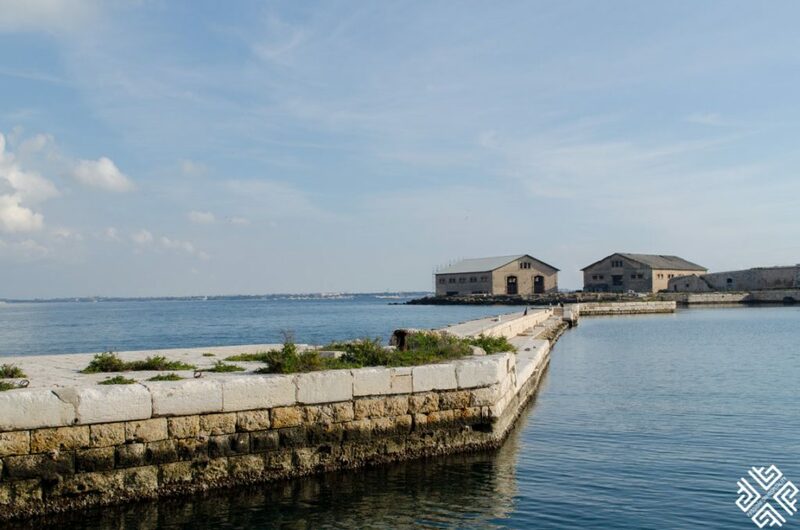 We were hosted by Puglia Promozione. A huge thank you to everyone who contributed to this fantastic experience.